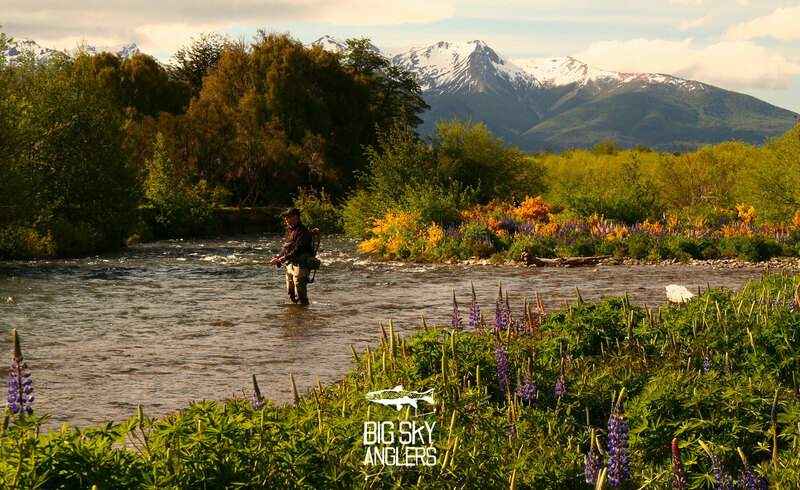 We are based in West Yellowstone, MT and consider ourselves lucky to call the amazing streams, rivers, and lakes of this region our home waters. 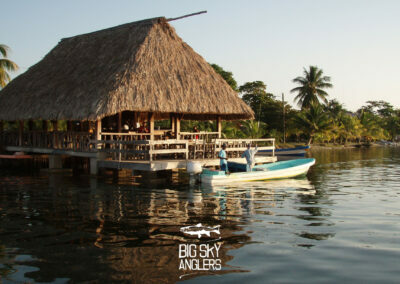 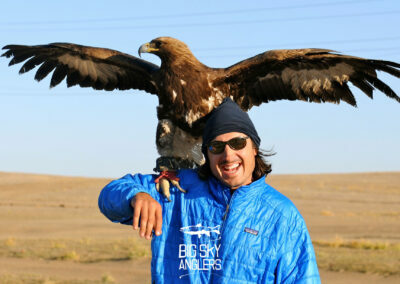 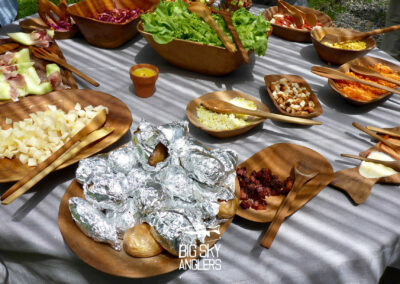 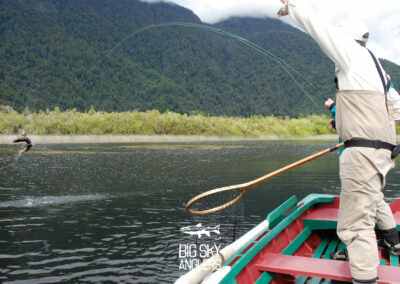 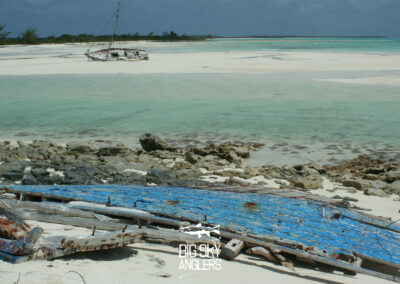 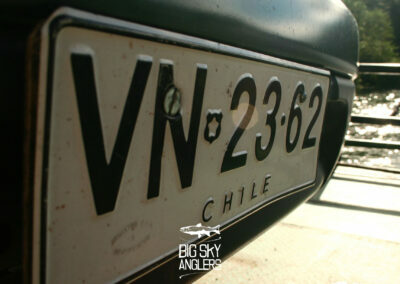 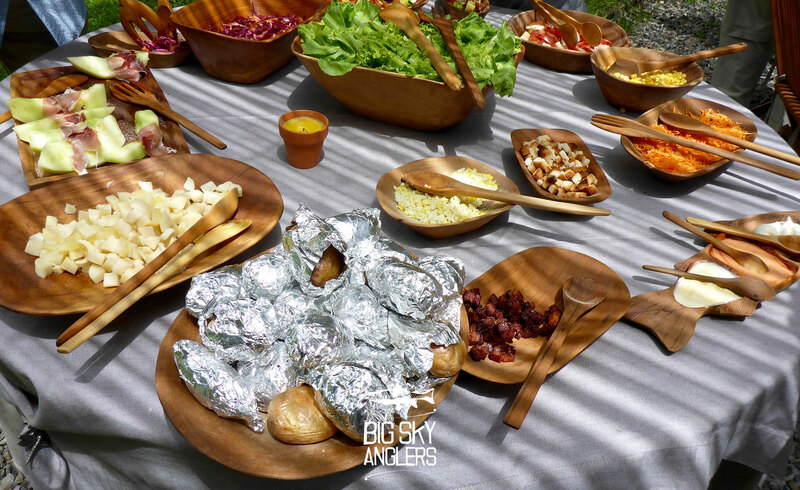 But like you, we also love travelling to fish and experience different cultures. 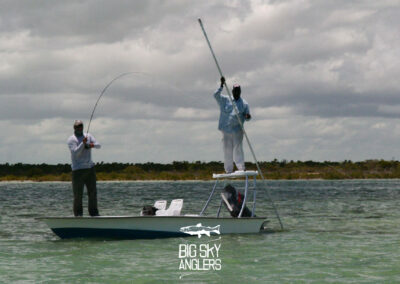 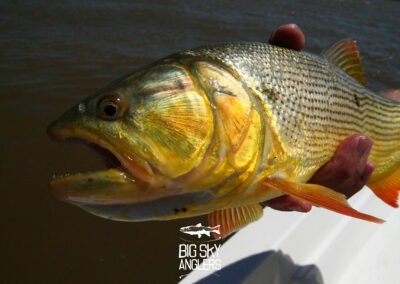 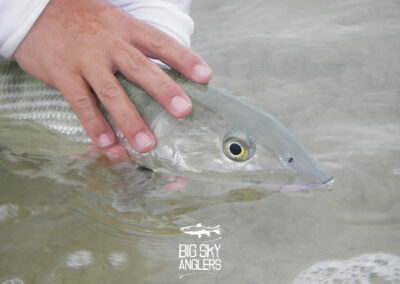 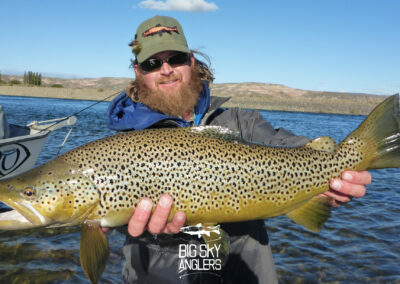 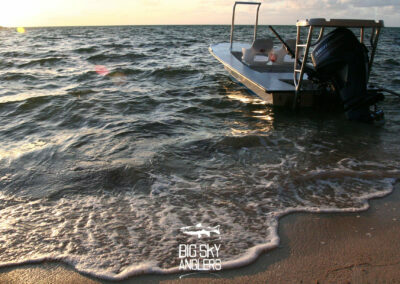 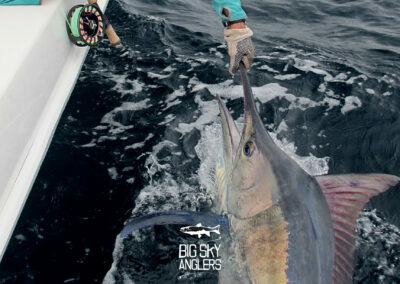 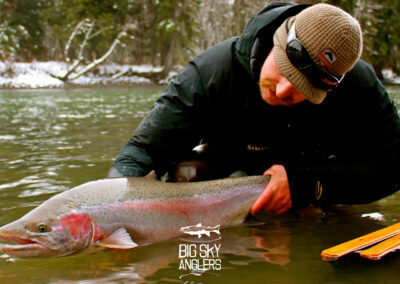 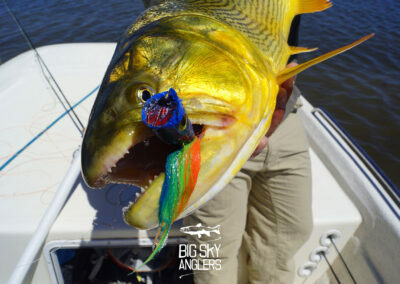 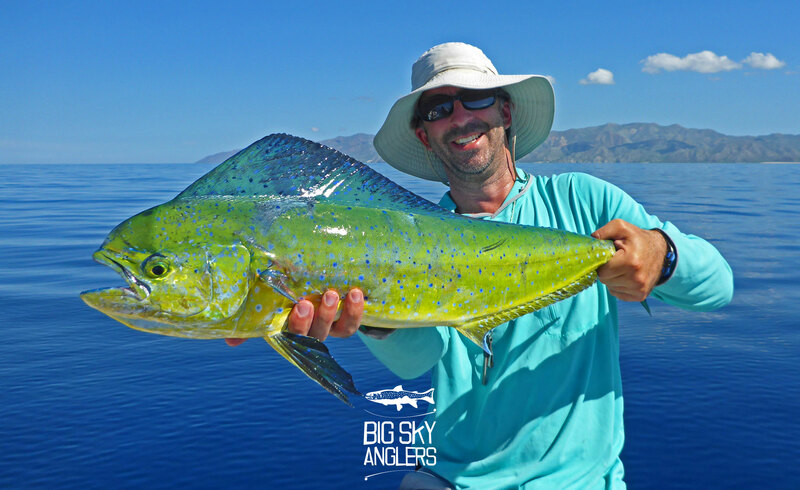 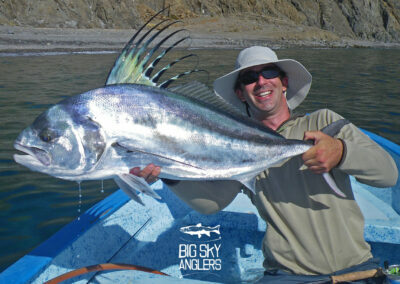 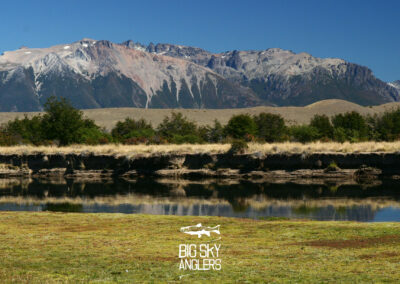 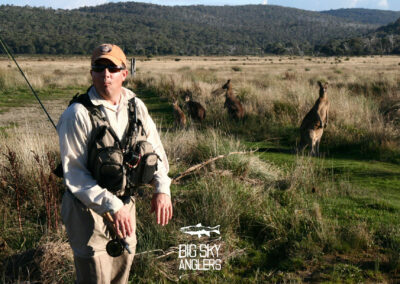 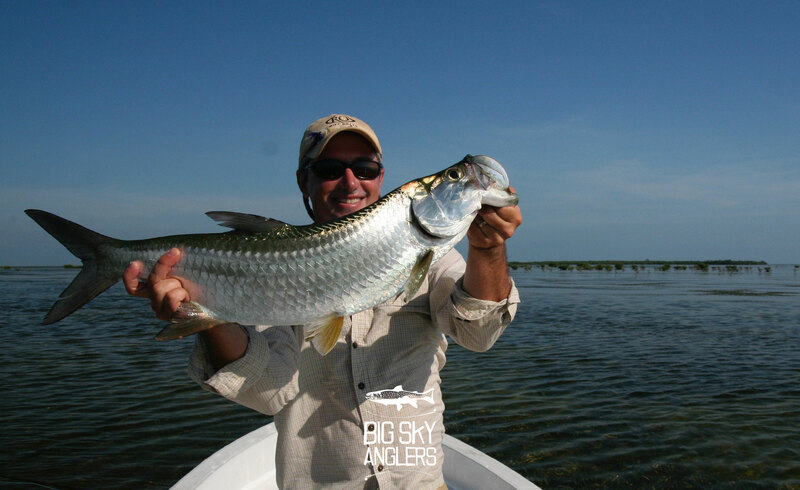 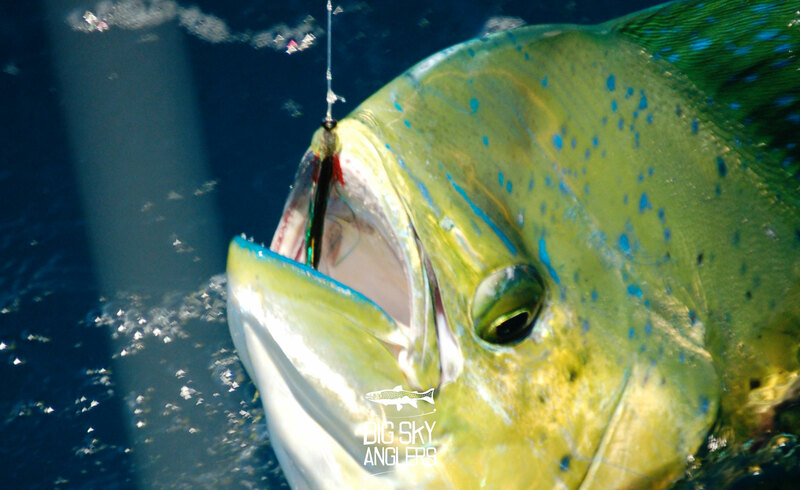 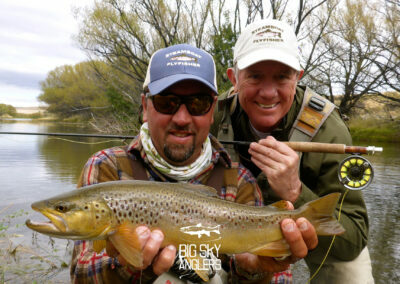 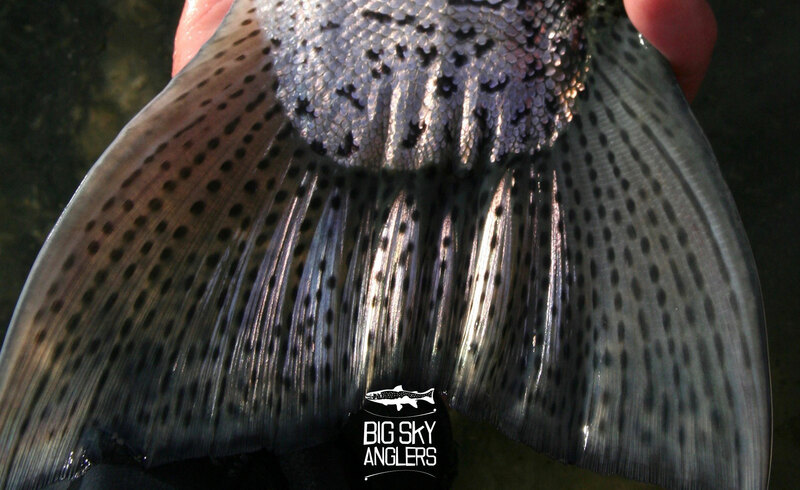 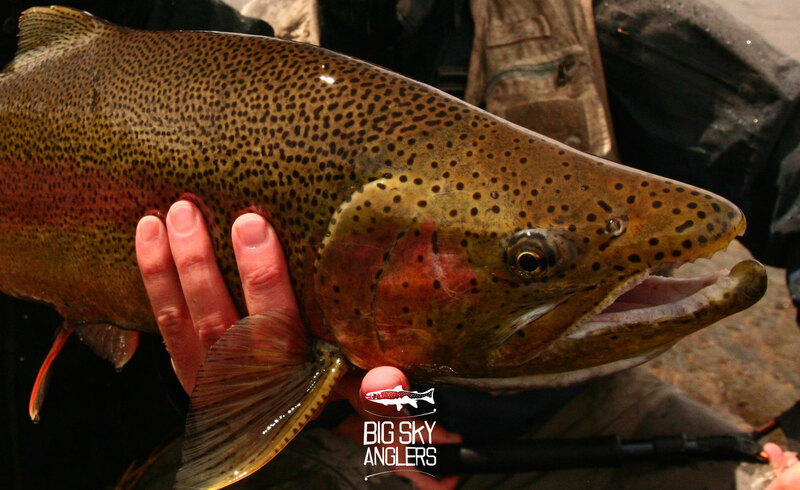 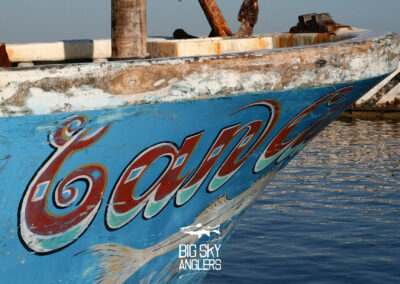 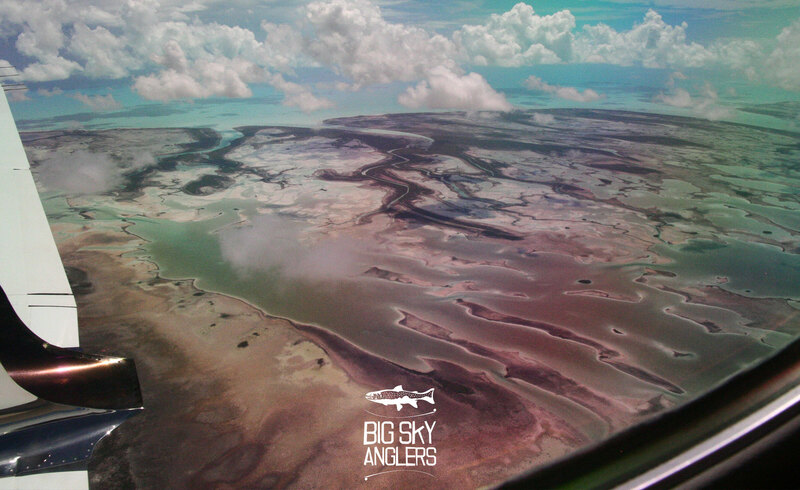 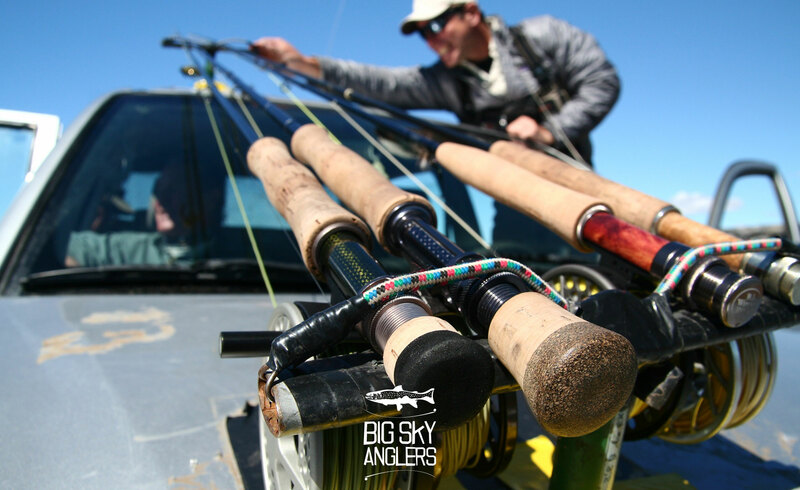 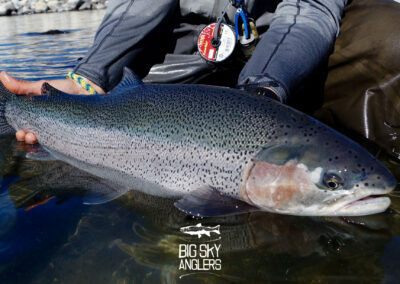 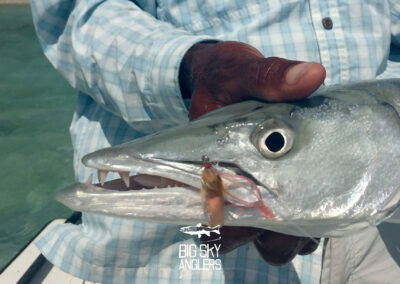 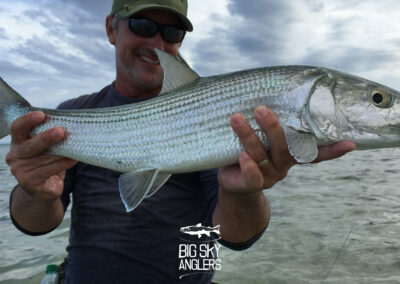 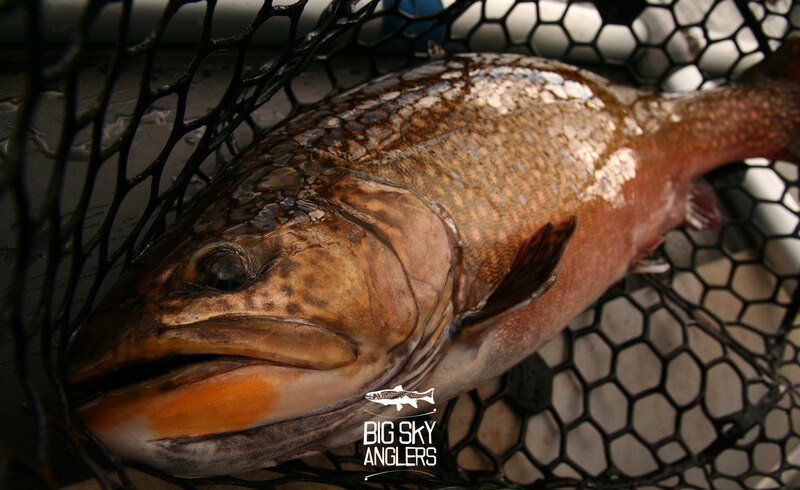 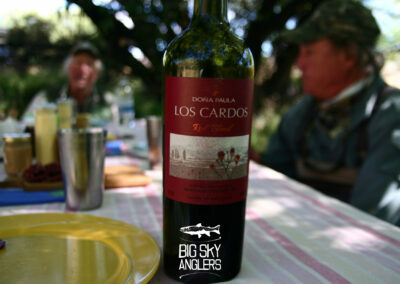 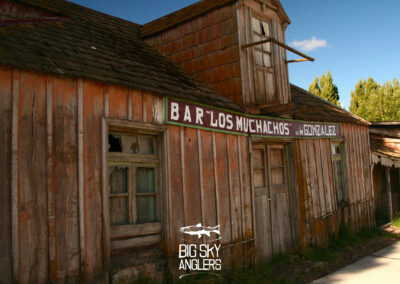 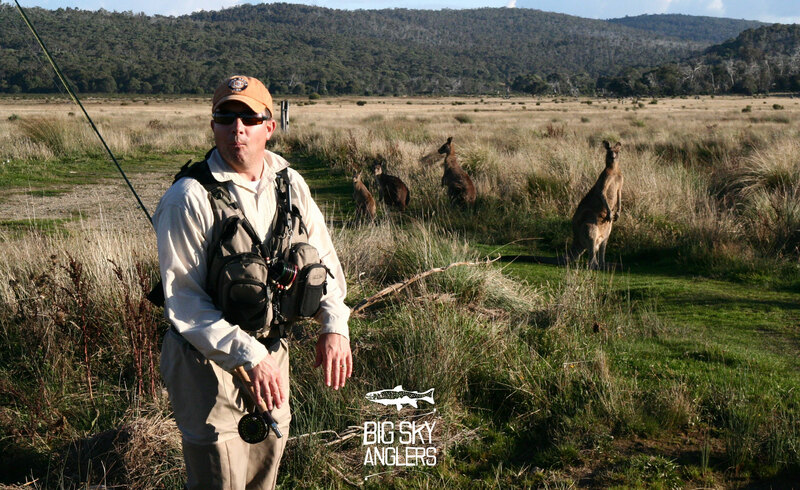 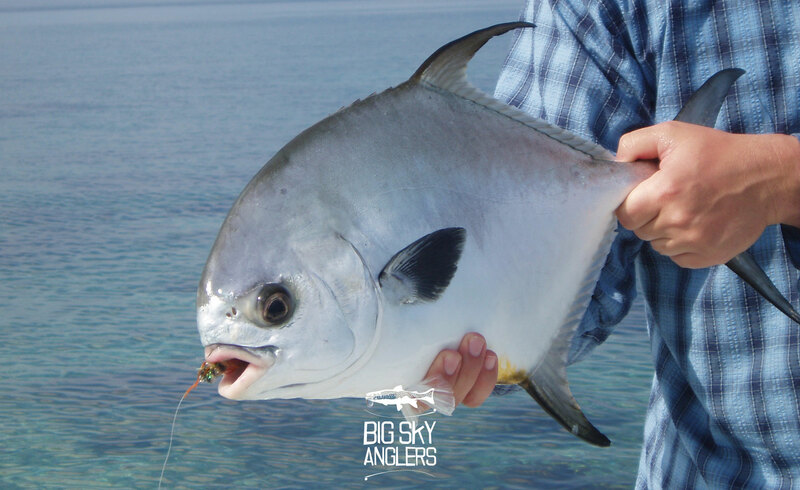 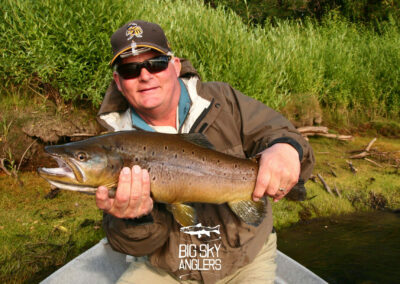 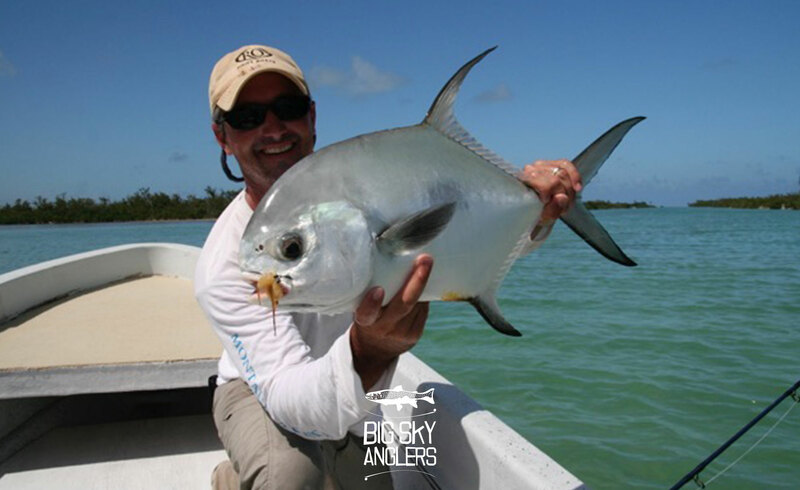 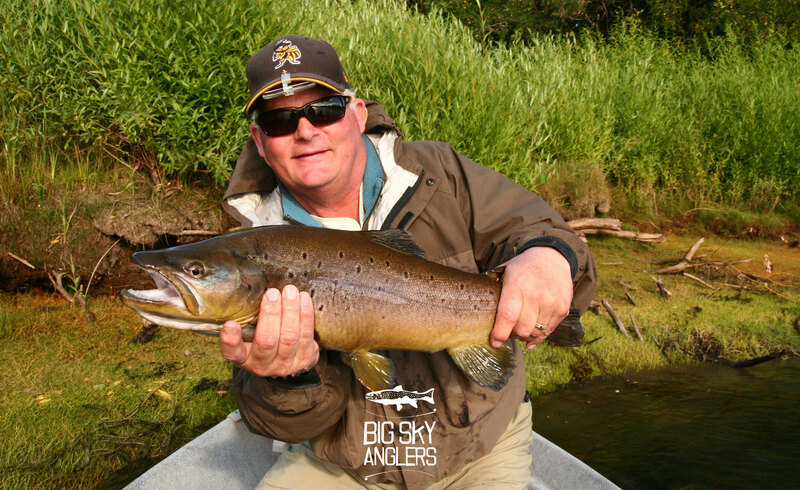 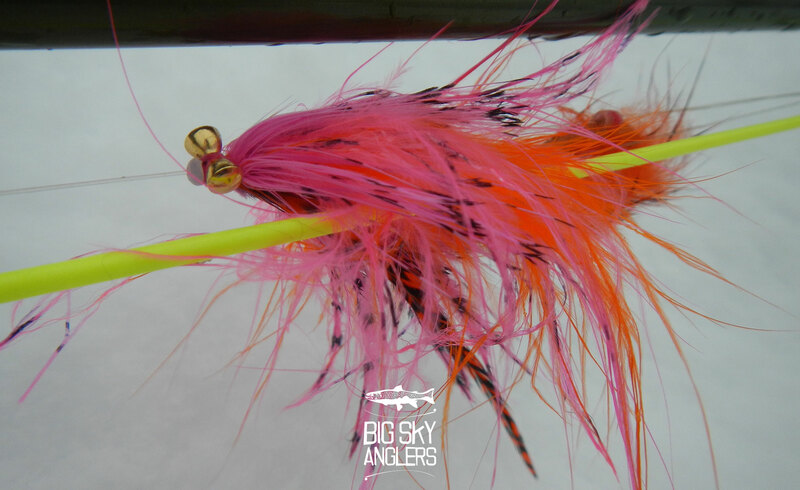 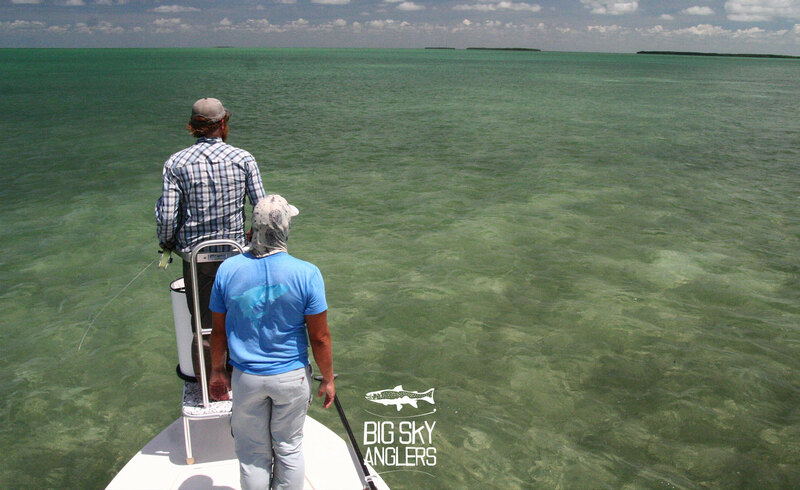 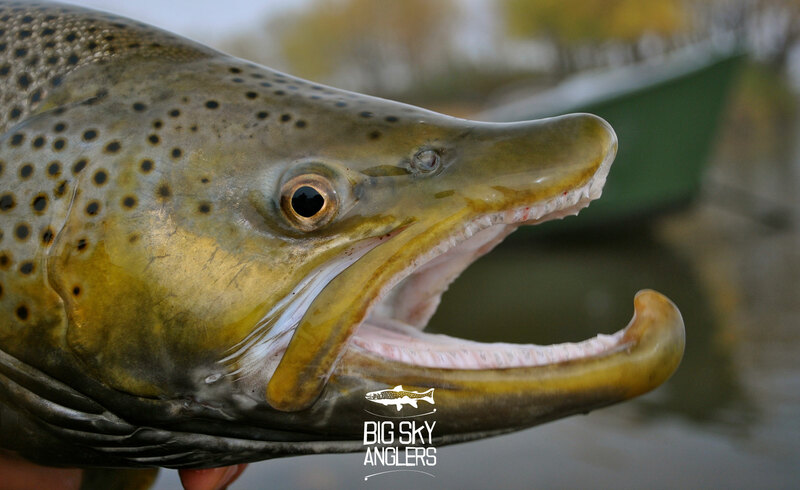 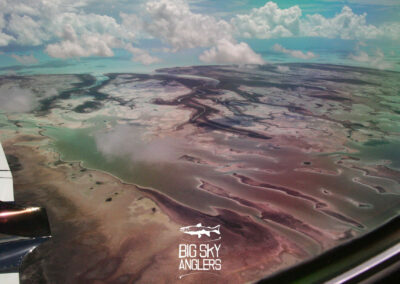 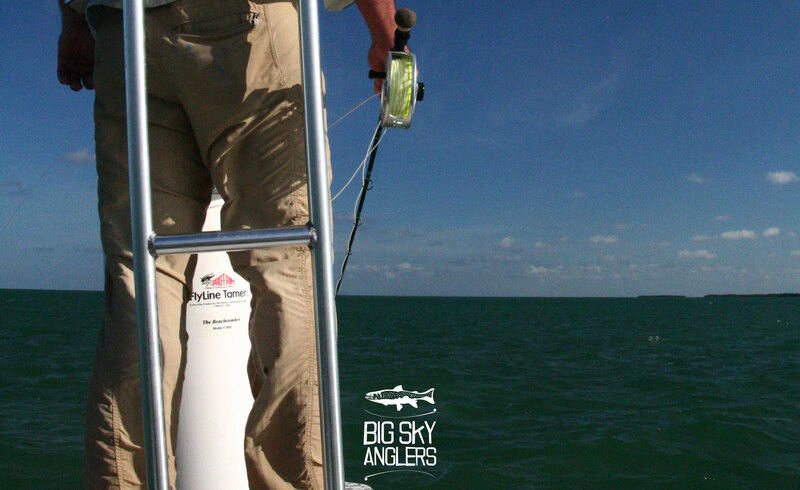 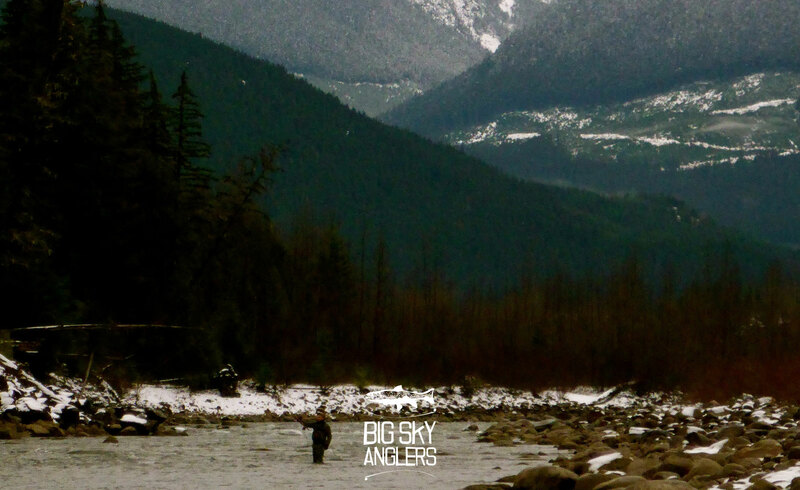 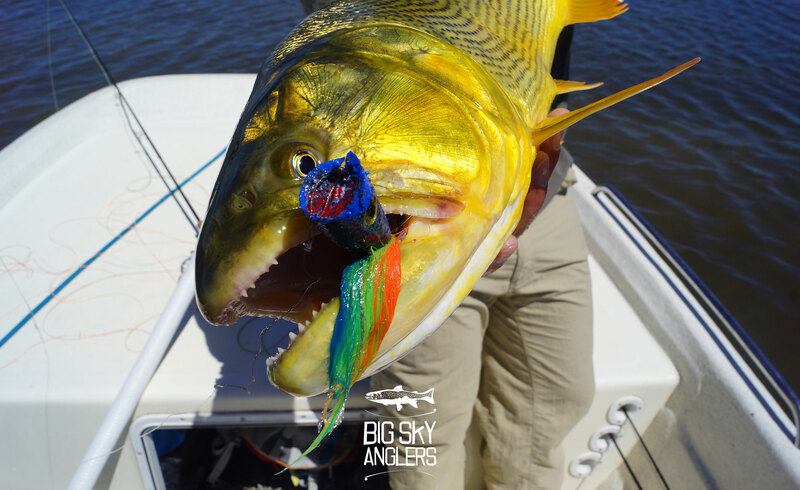 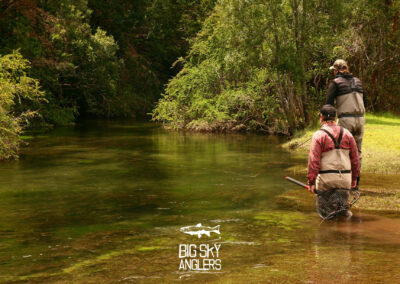 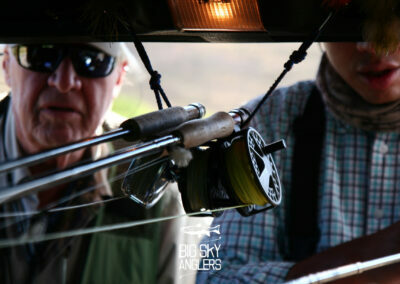 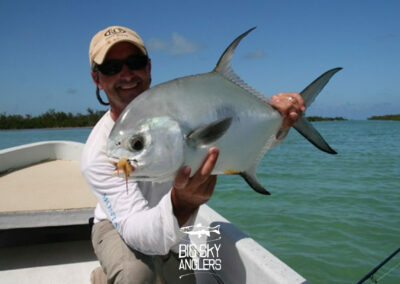 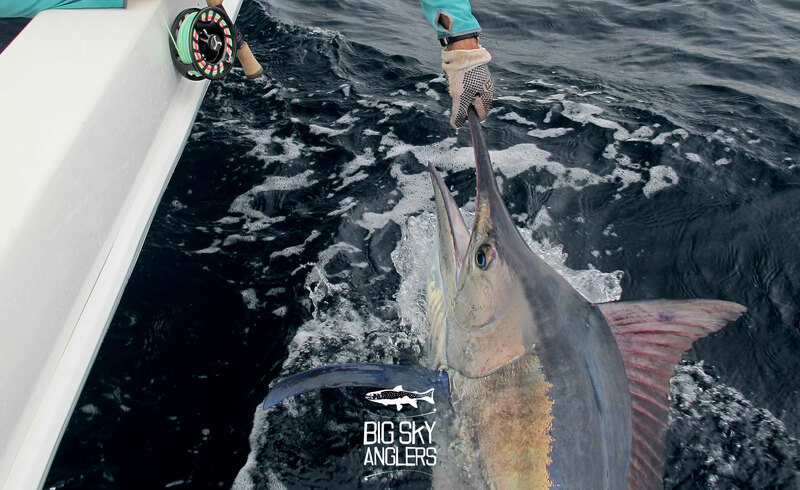 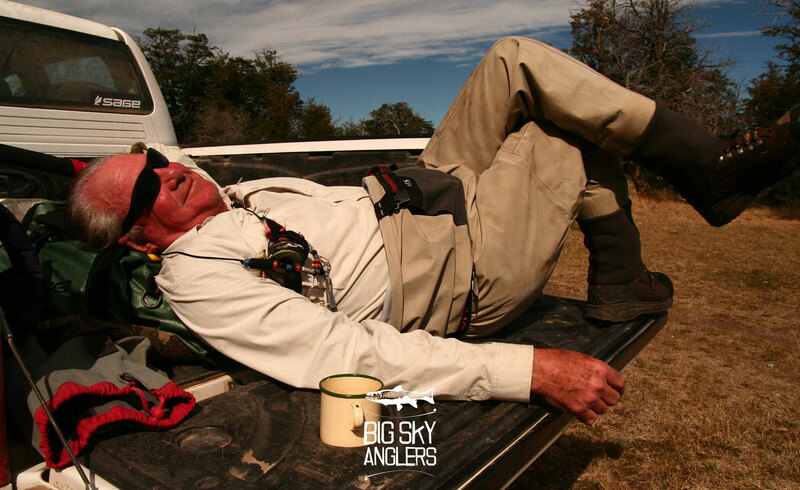 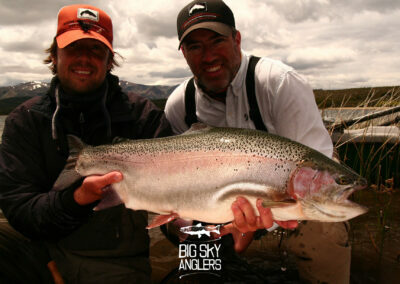 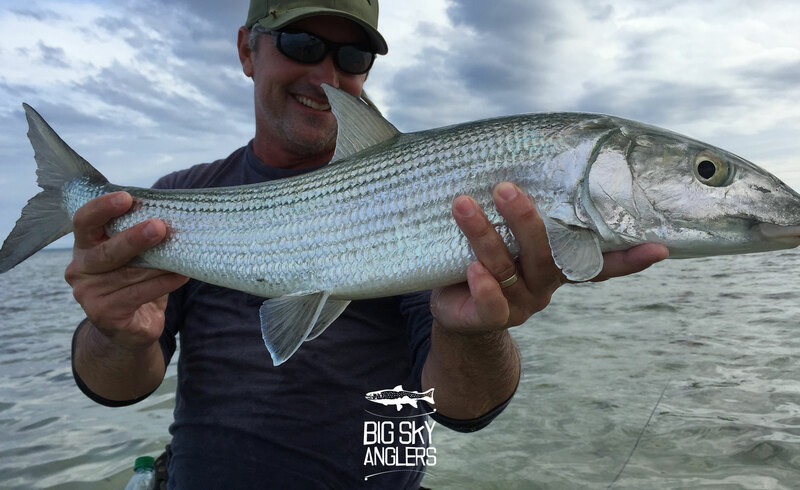 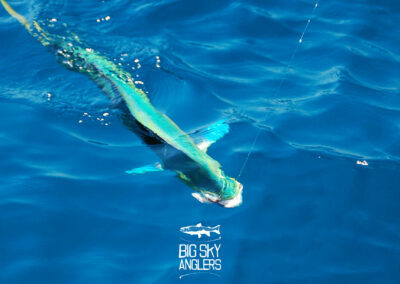 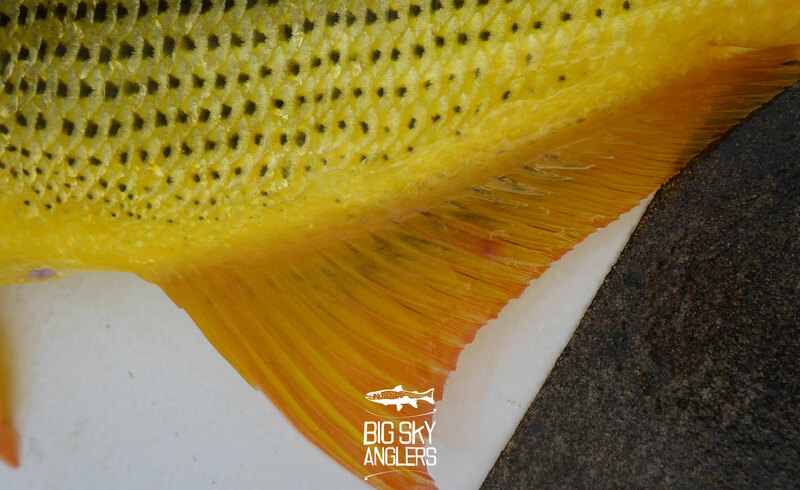 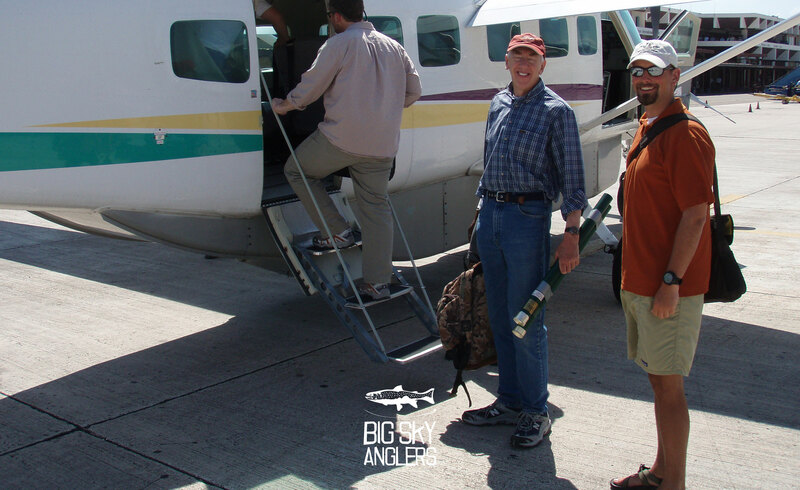 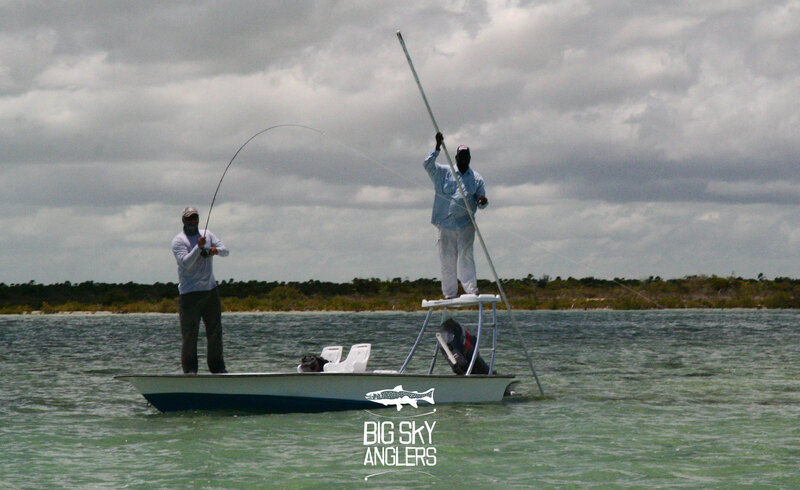 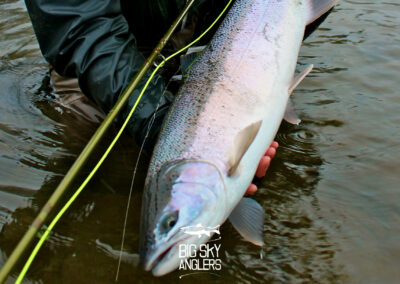 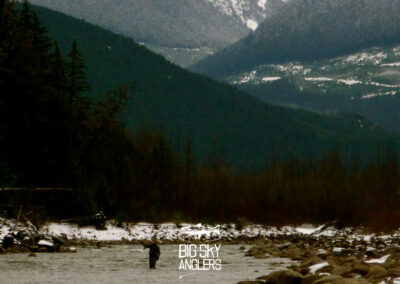 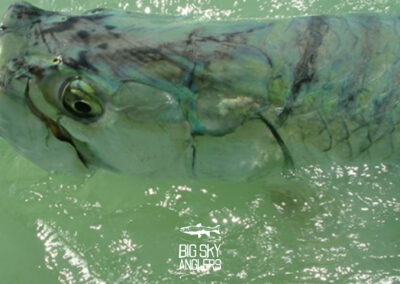 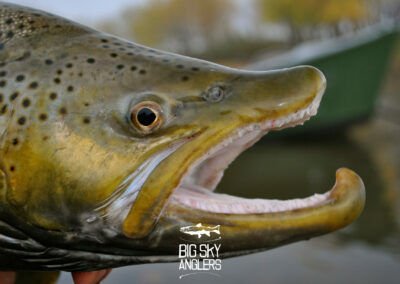 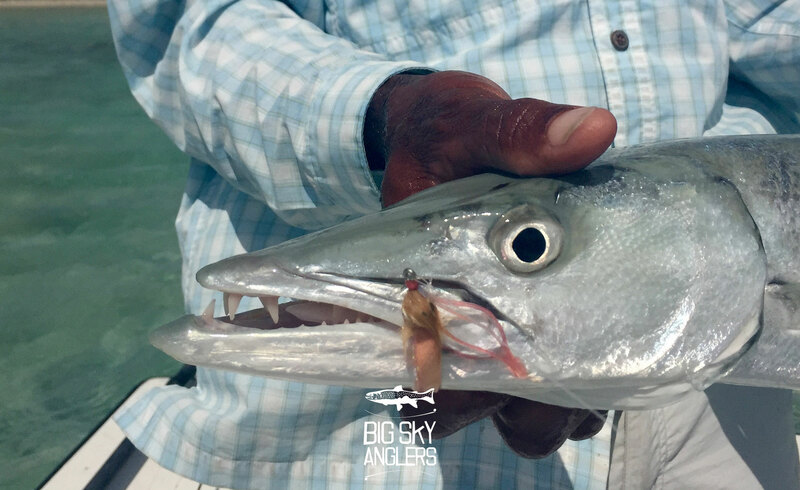 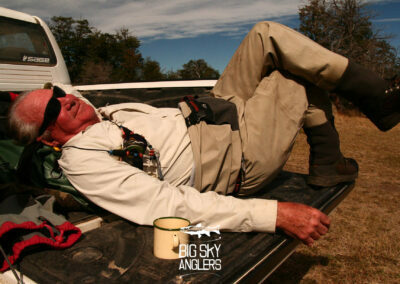 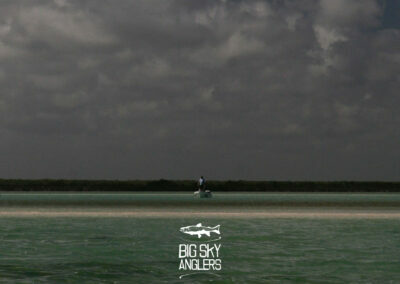 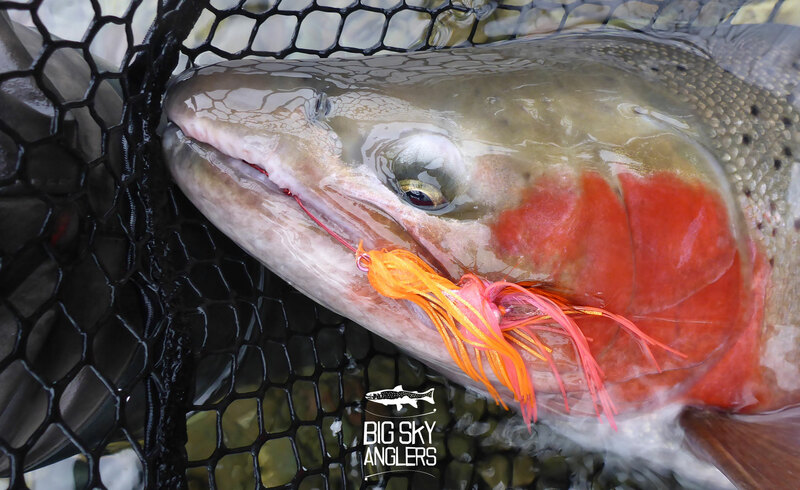 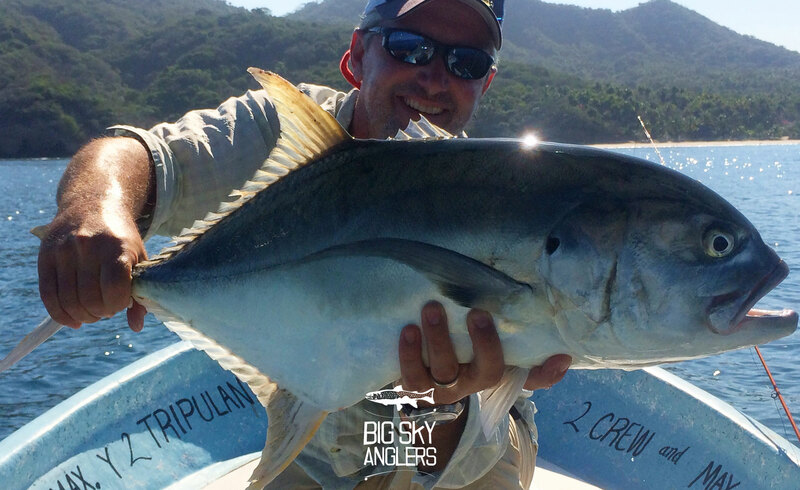 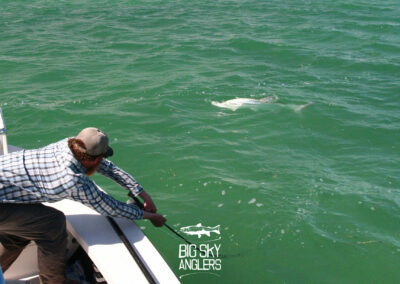 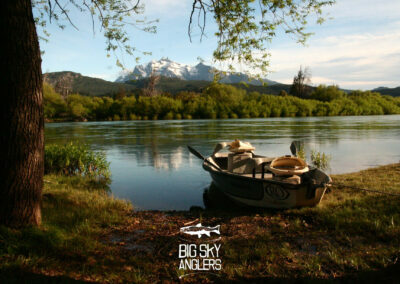 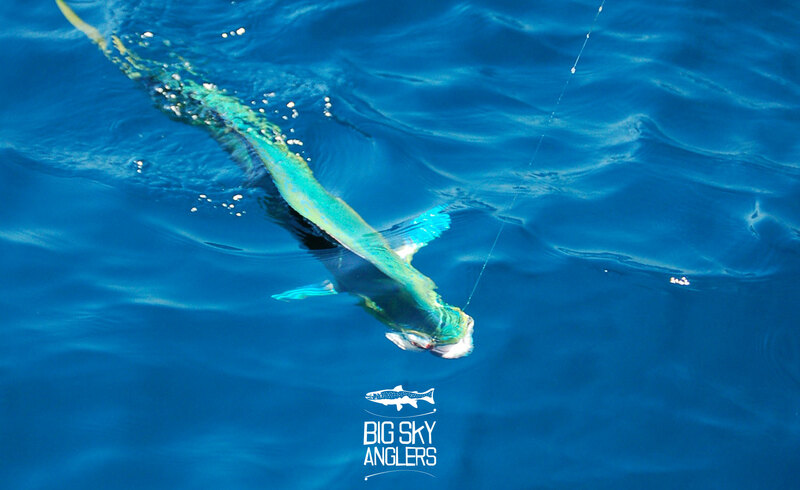 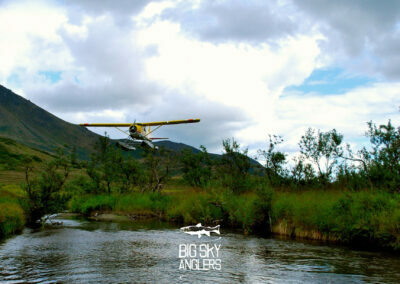 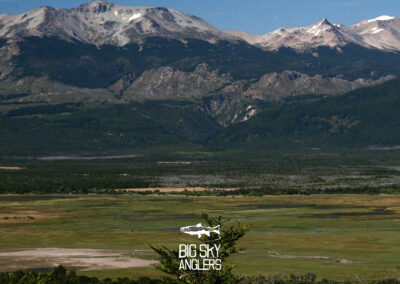 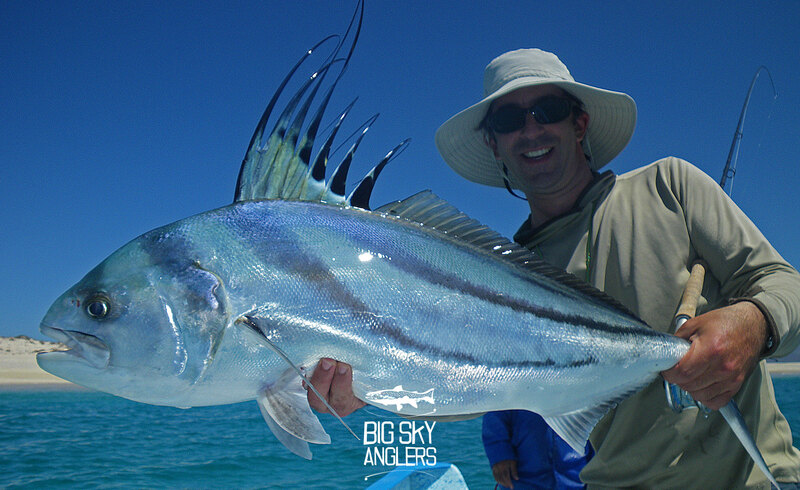 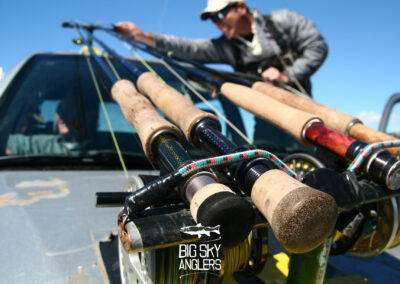 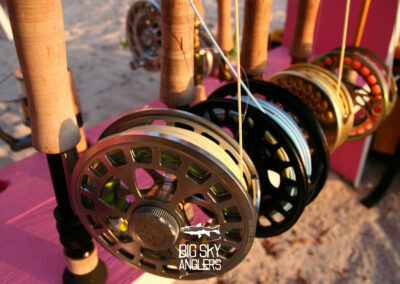 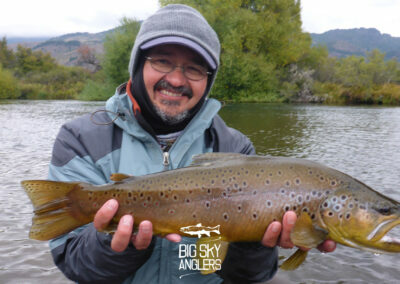 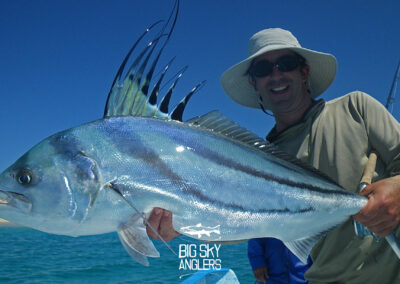 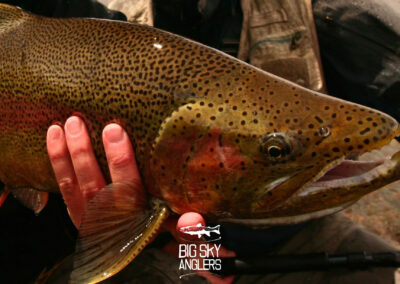 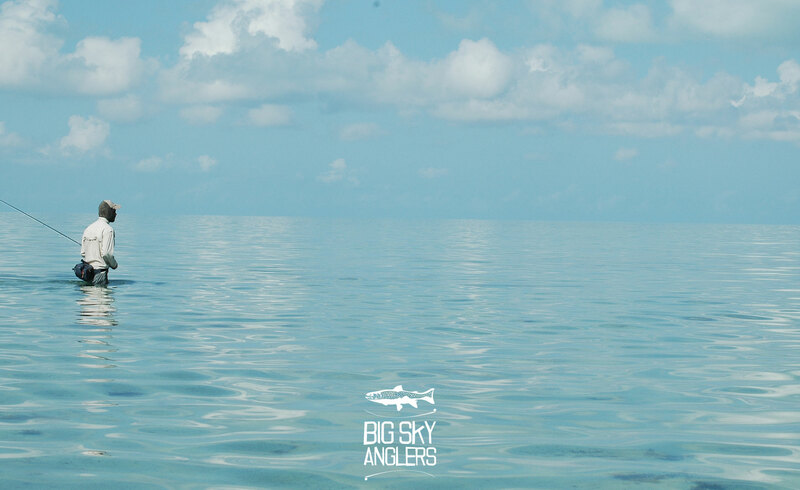 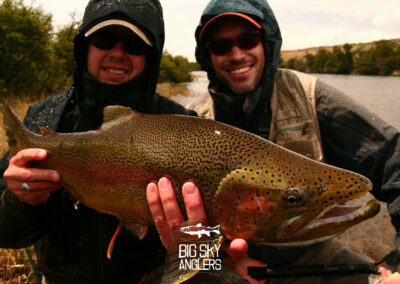 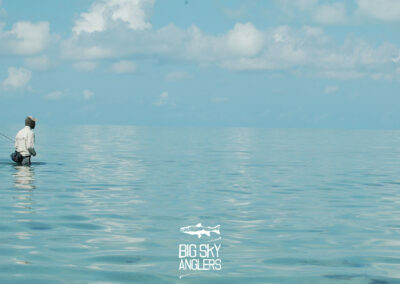 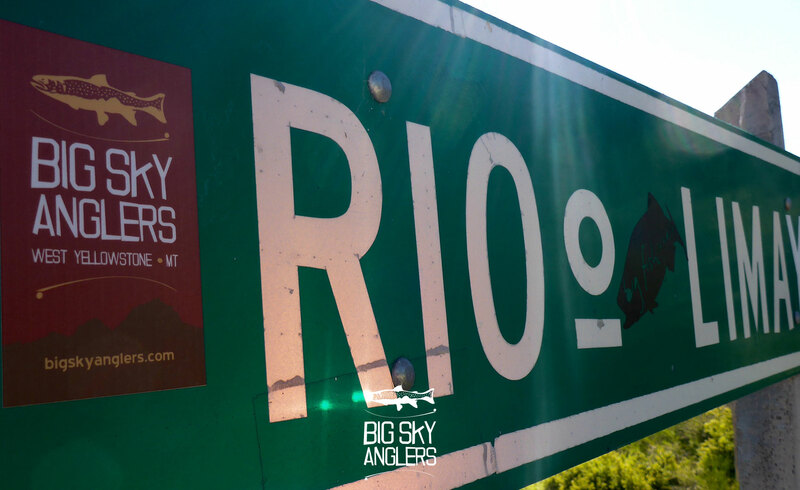 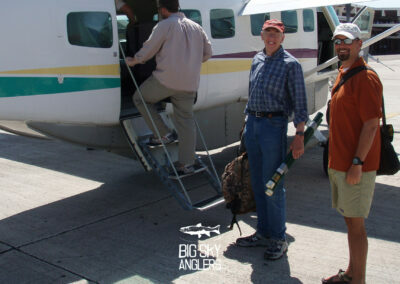 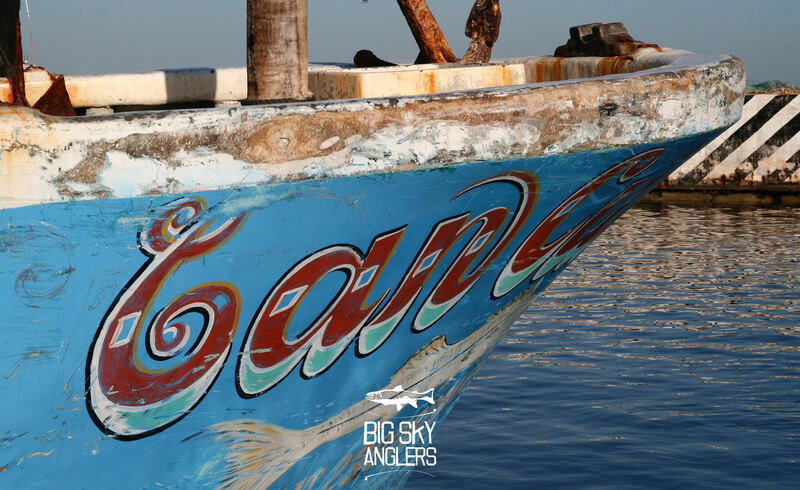 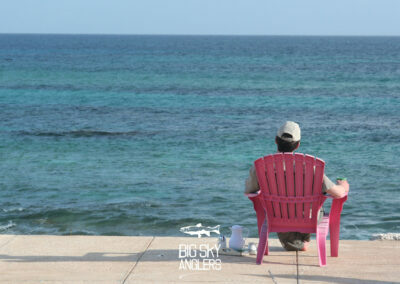 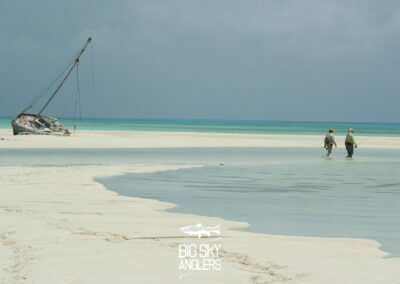 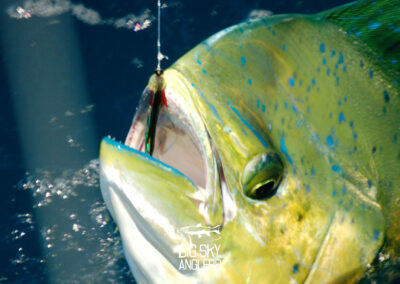 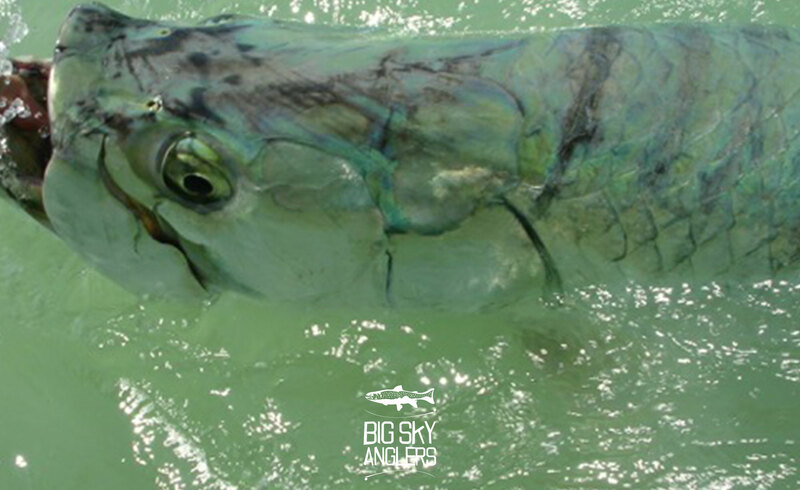 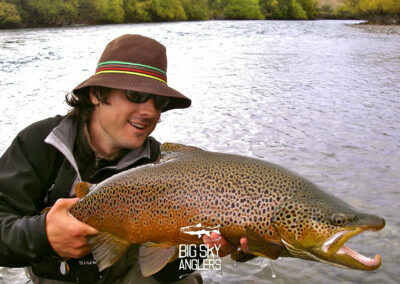 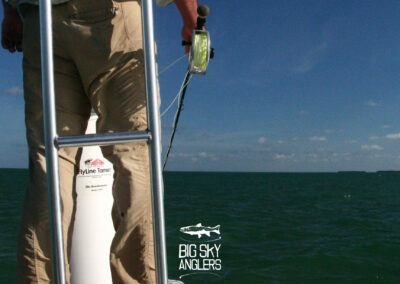 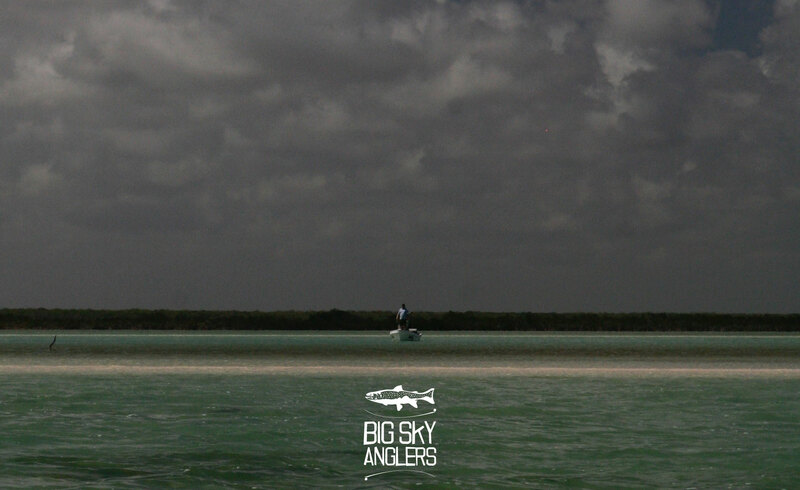 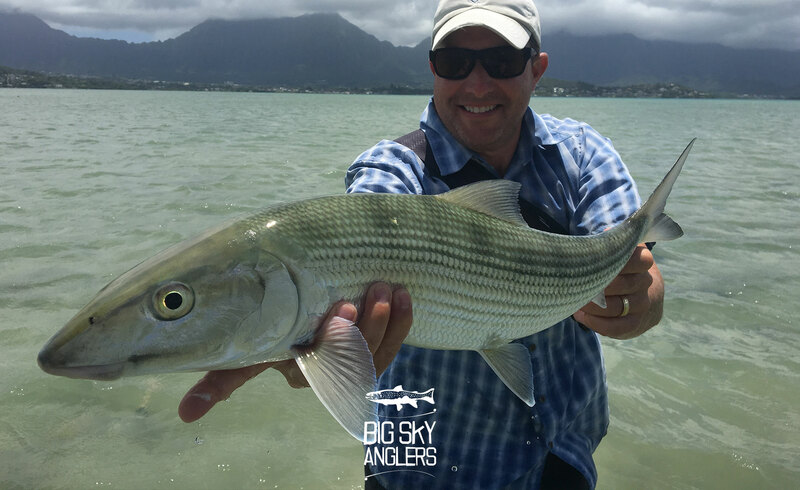 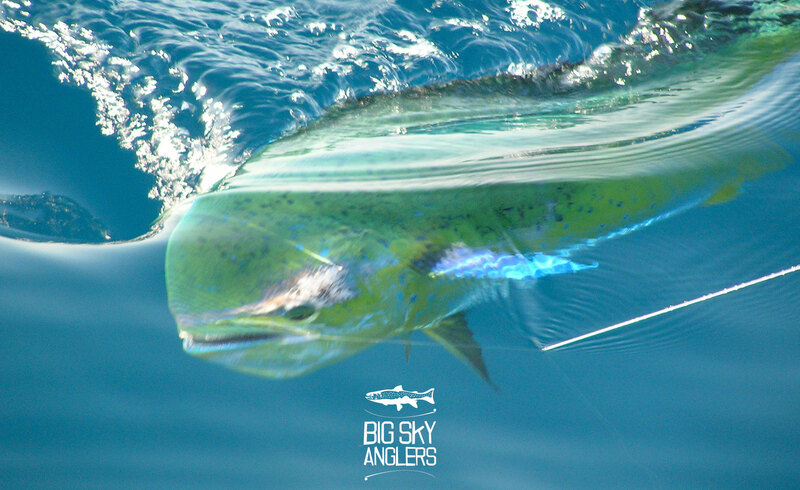 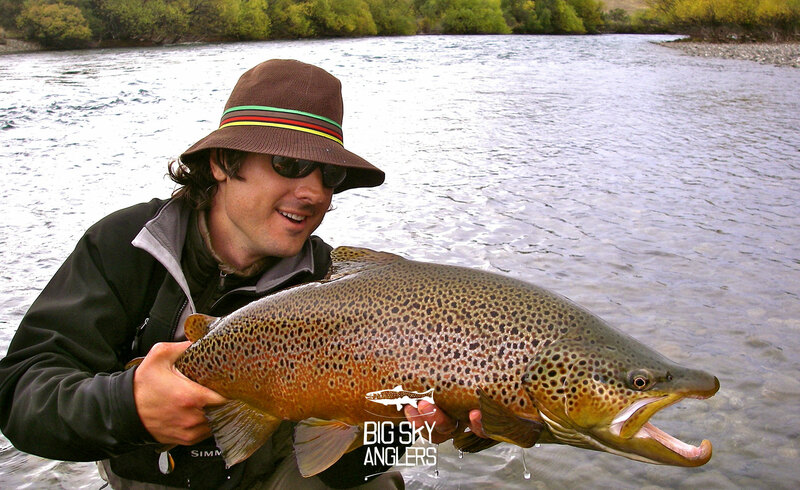 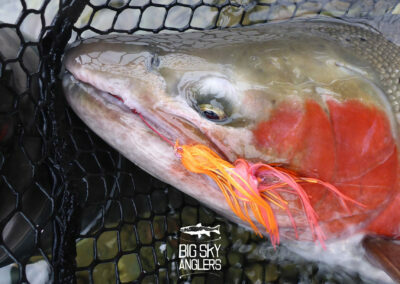 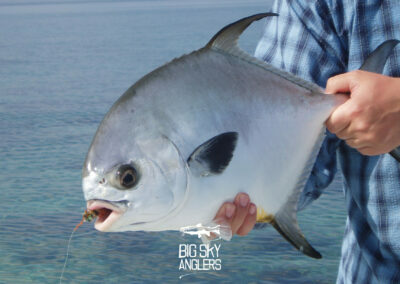 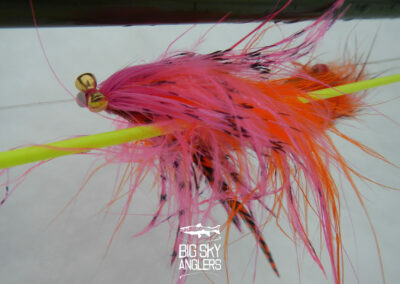 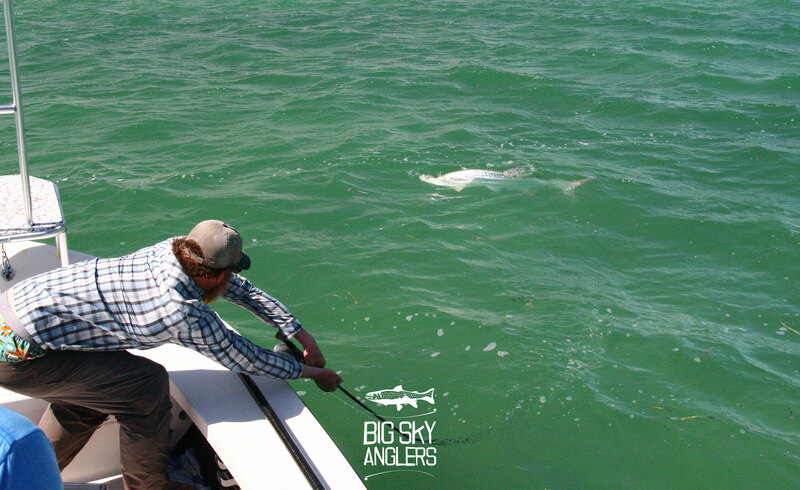 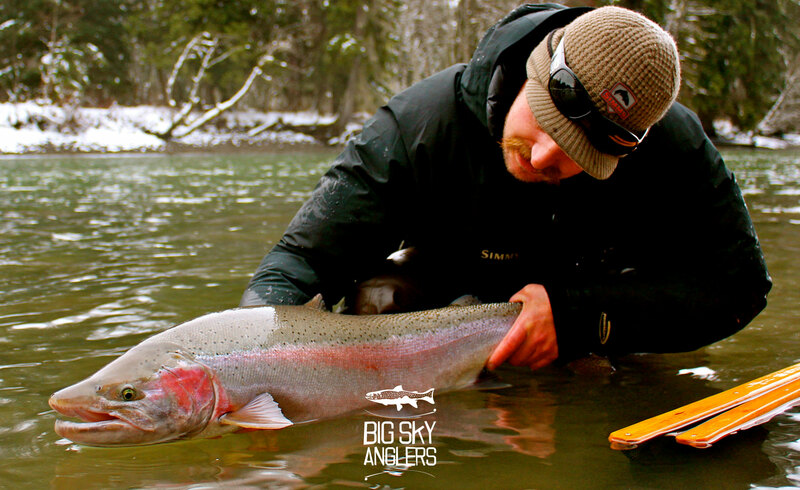 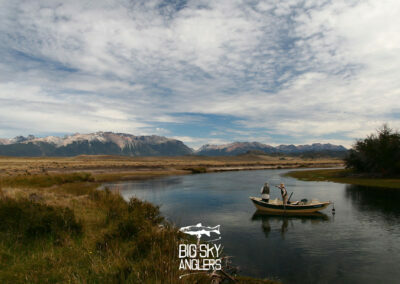 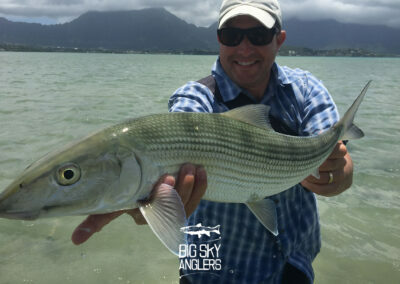 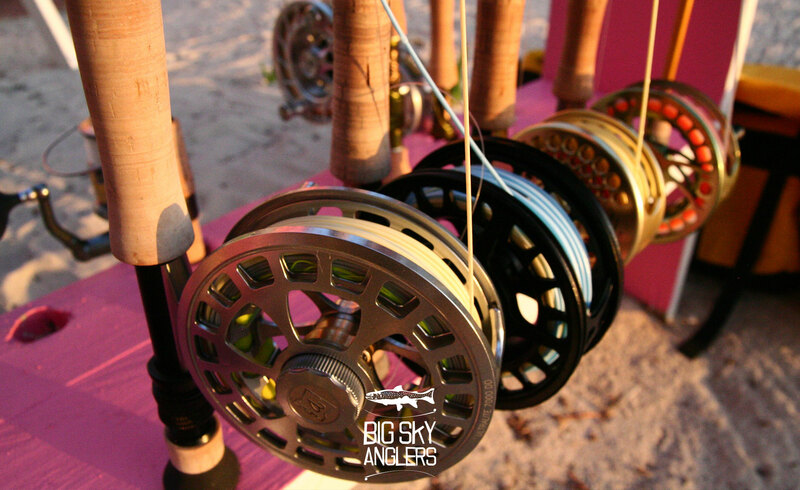 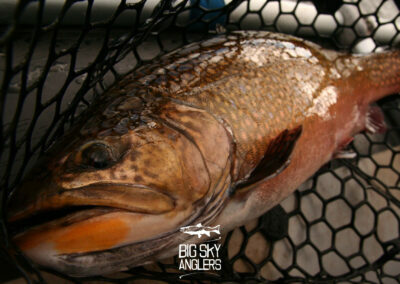 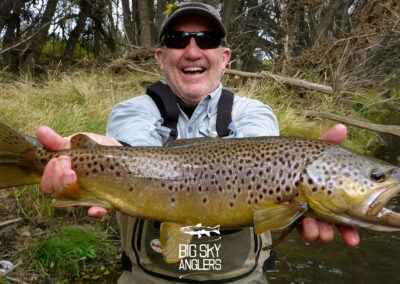 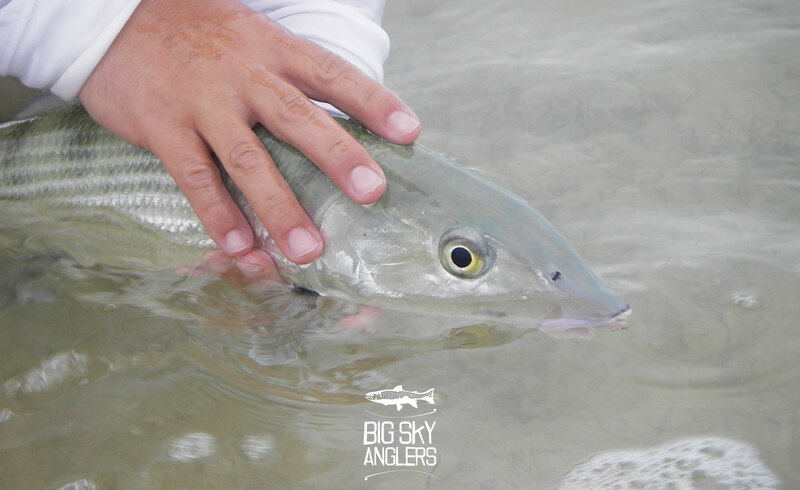 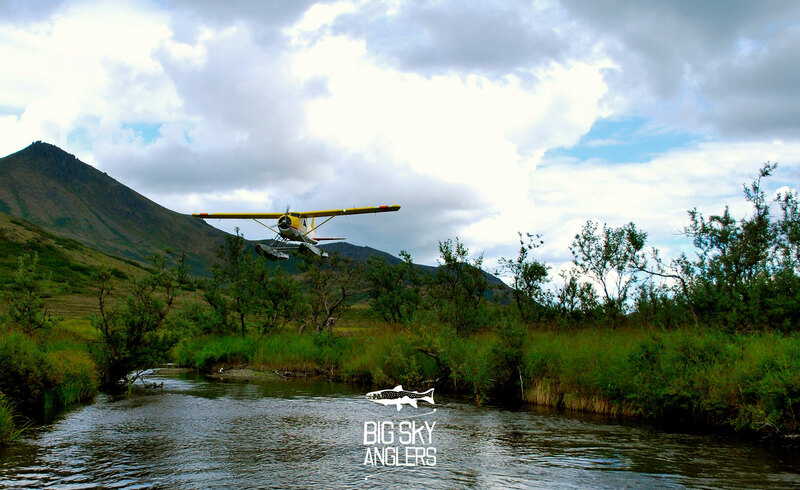 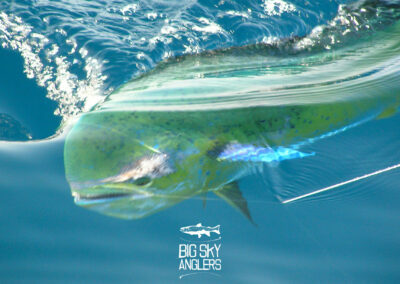 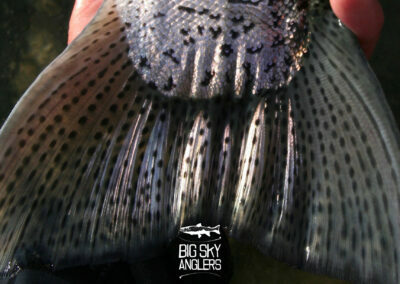 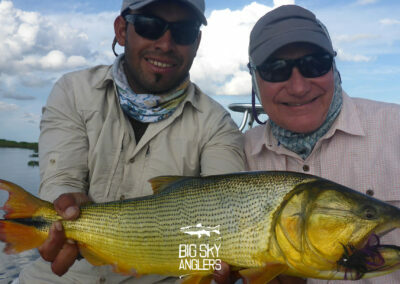 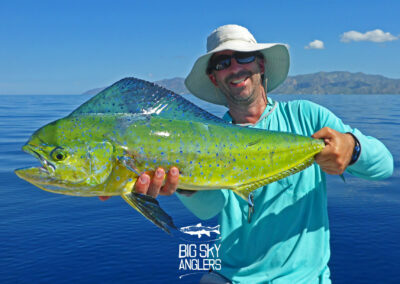 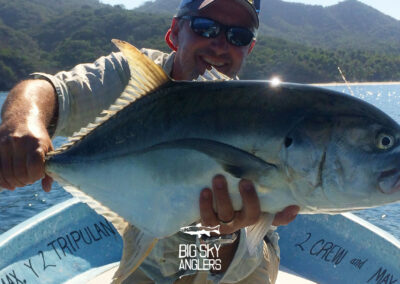 Yes, Big Sky Anglers offers hosted trips to a number of destination fisheries. 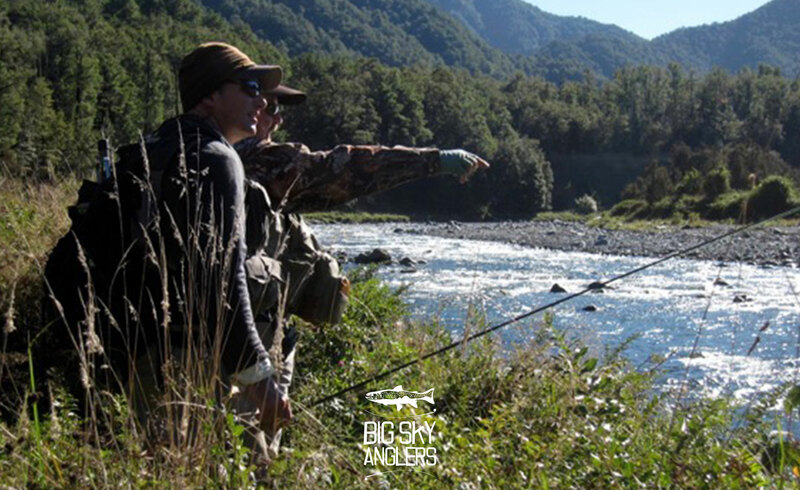 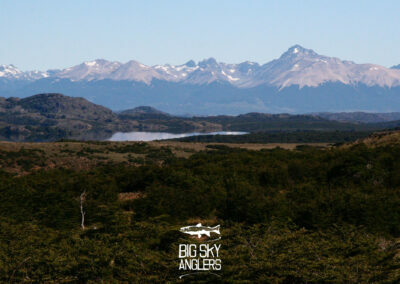 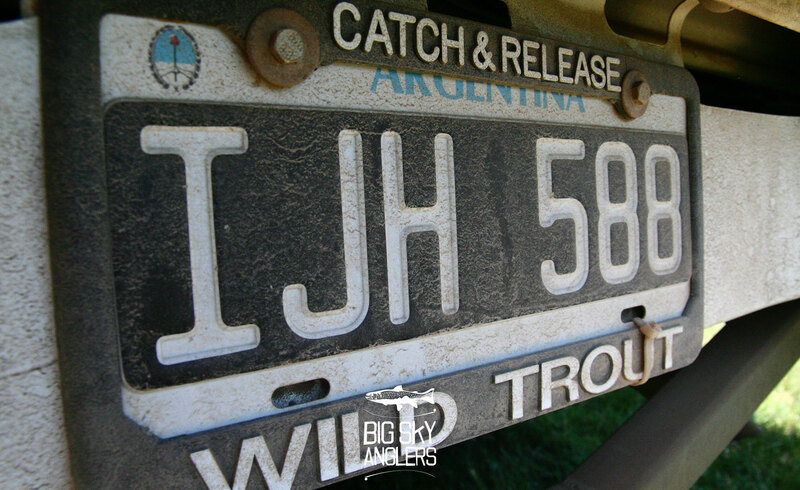 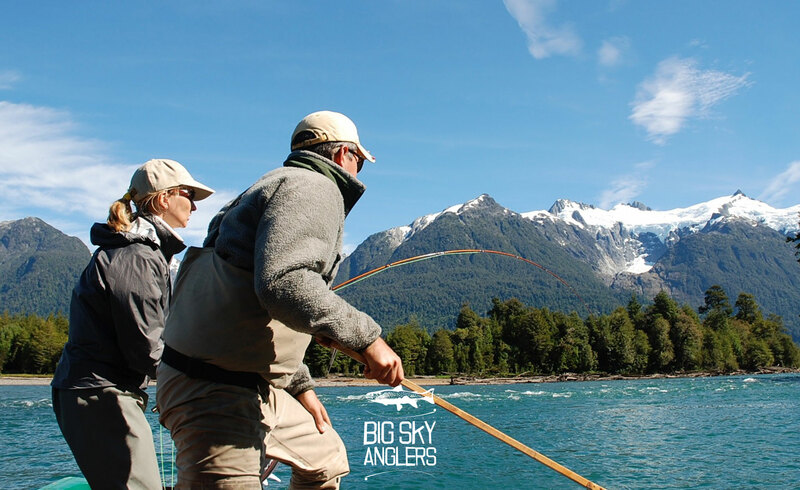 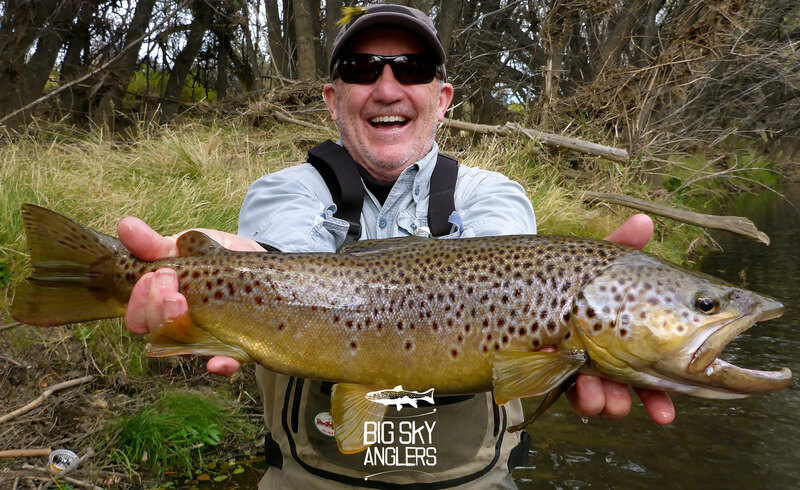 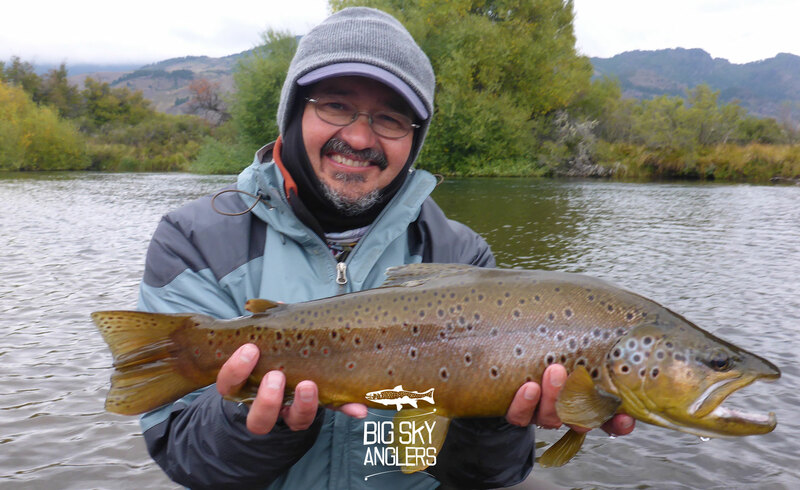 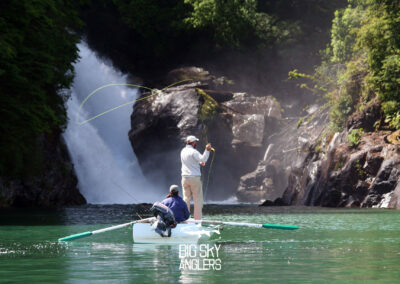 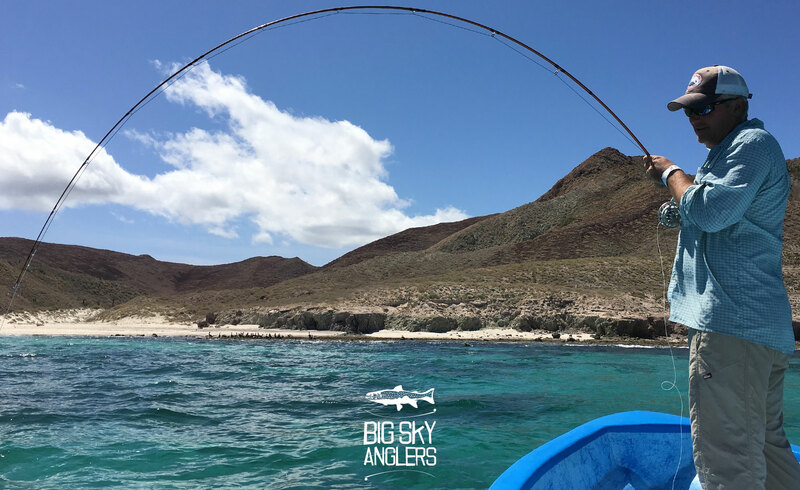 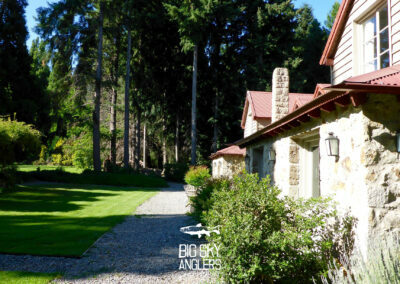 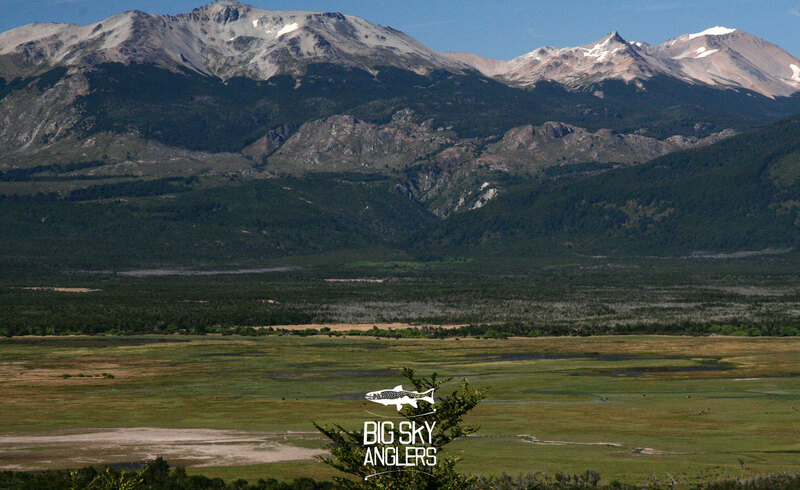 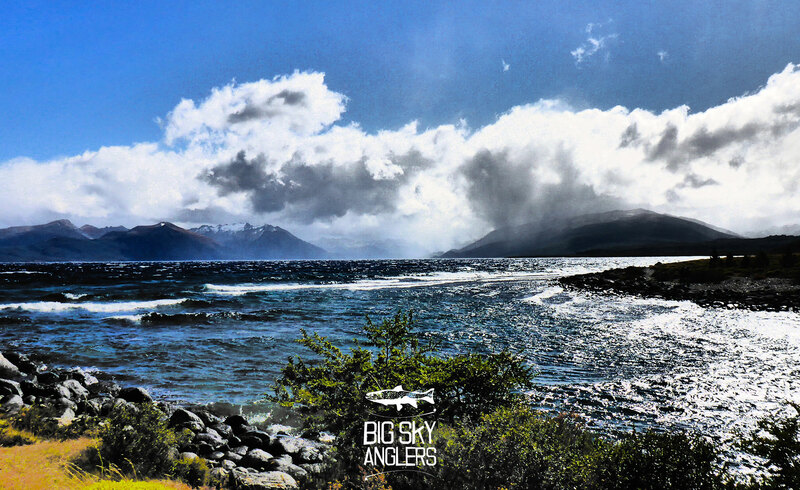 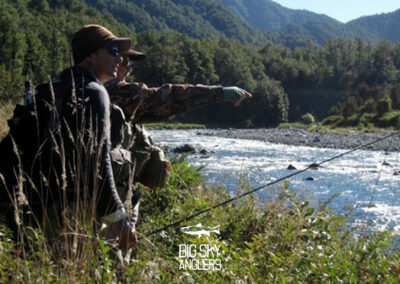 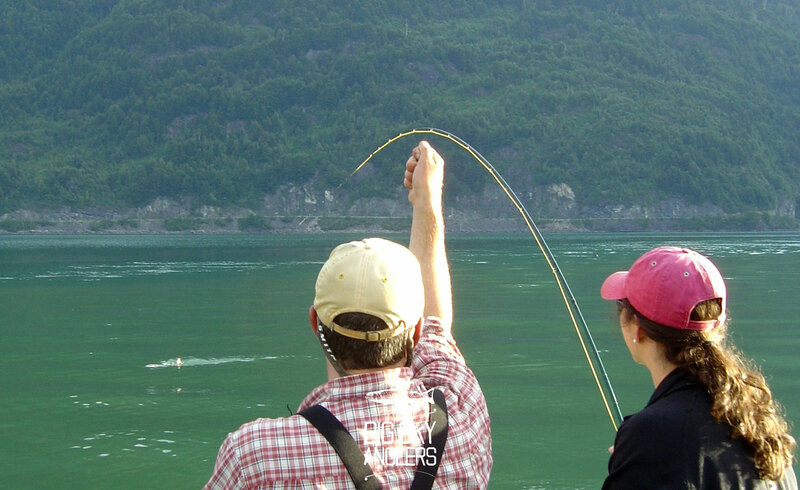 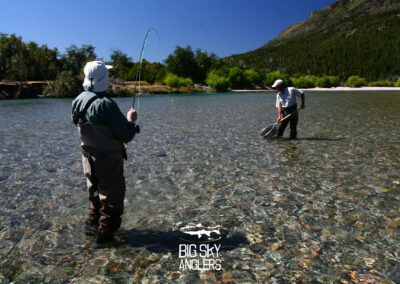 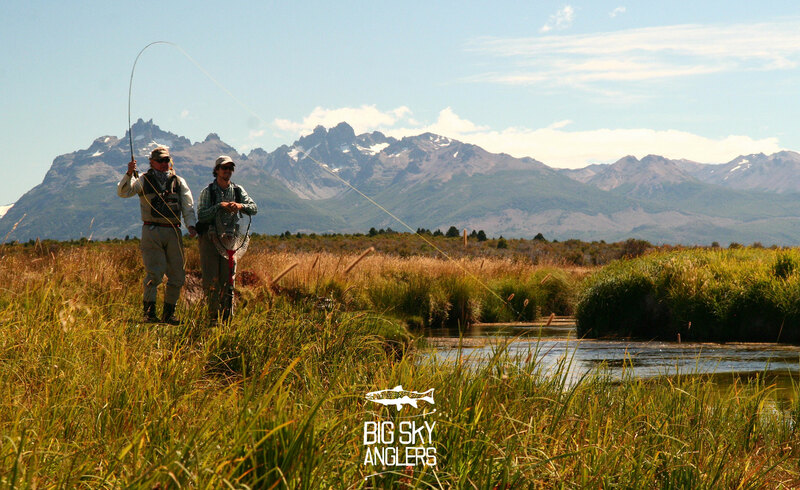 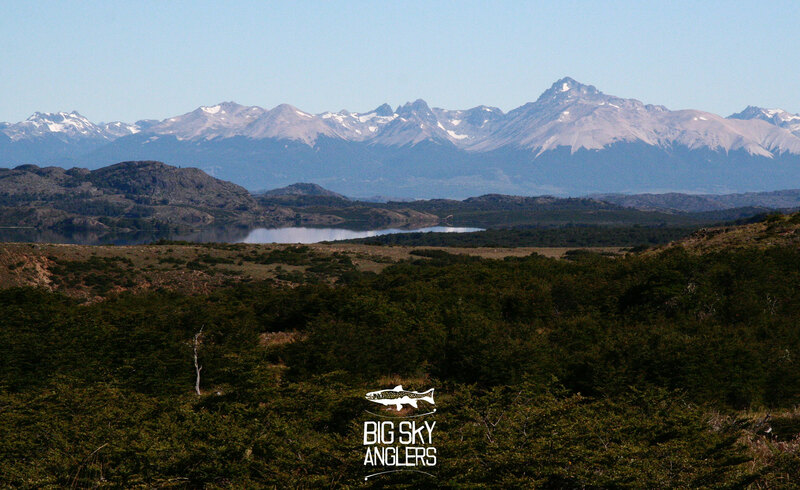 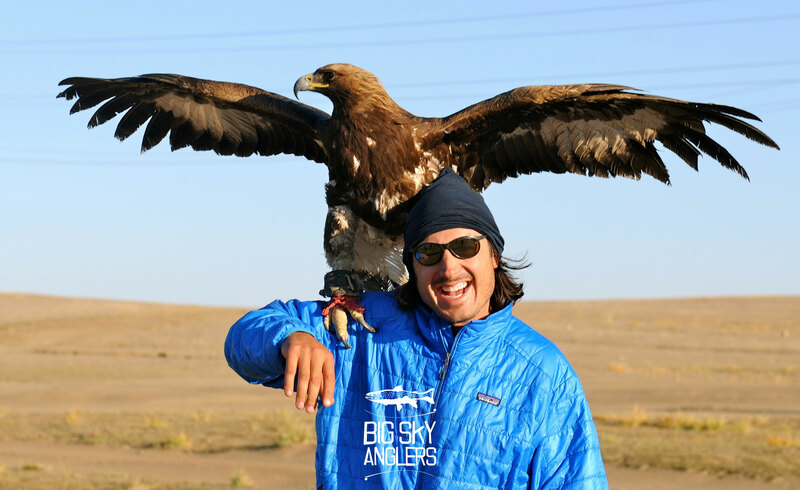 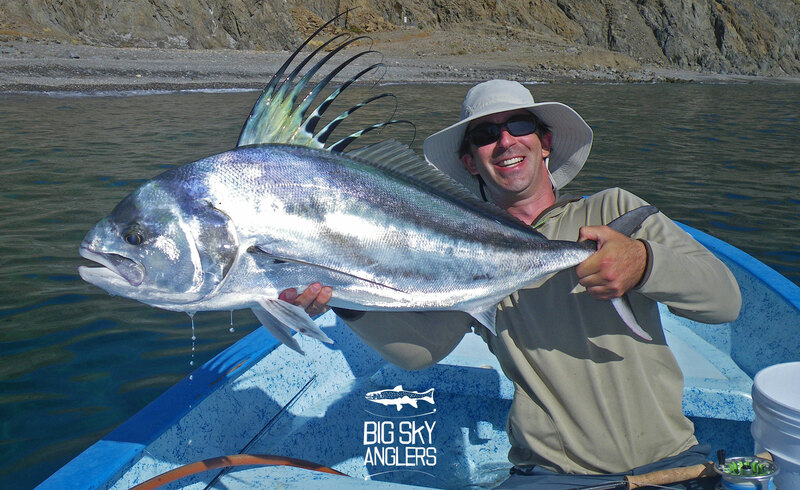 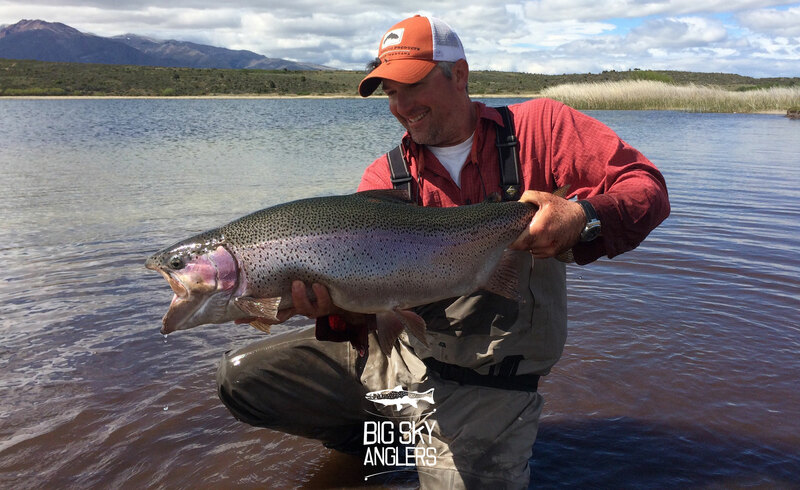 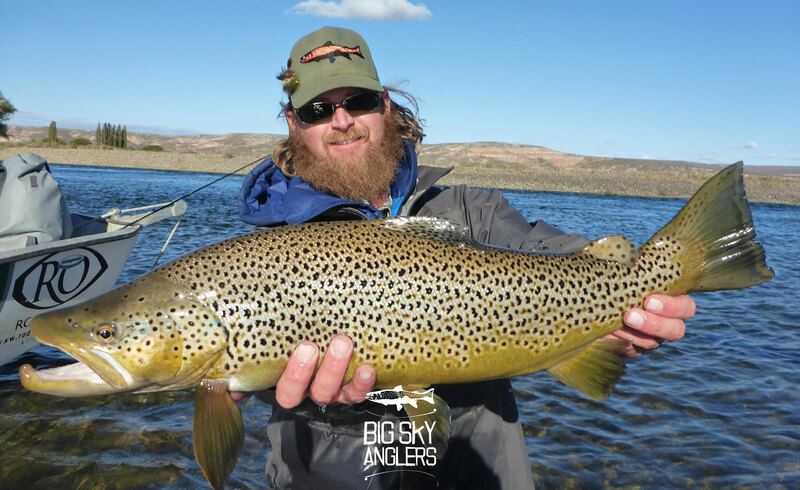 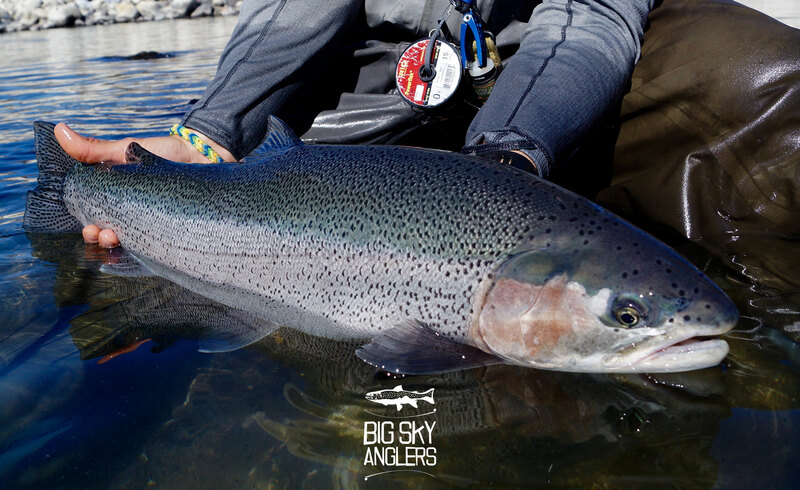 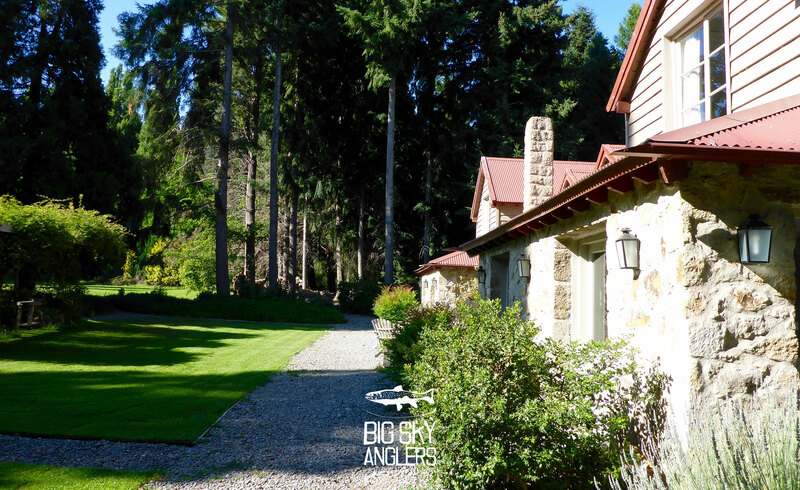 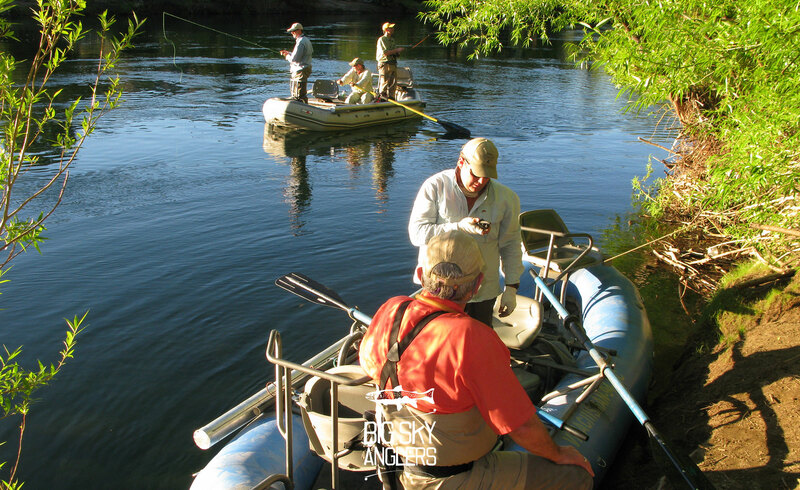 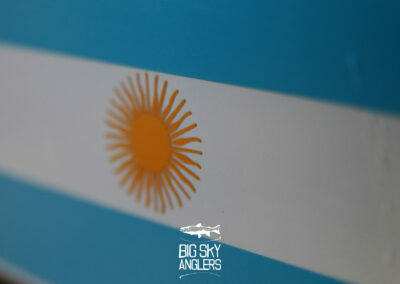 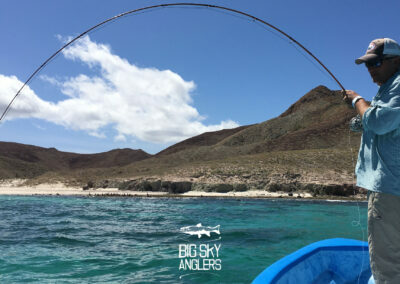 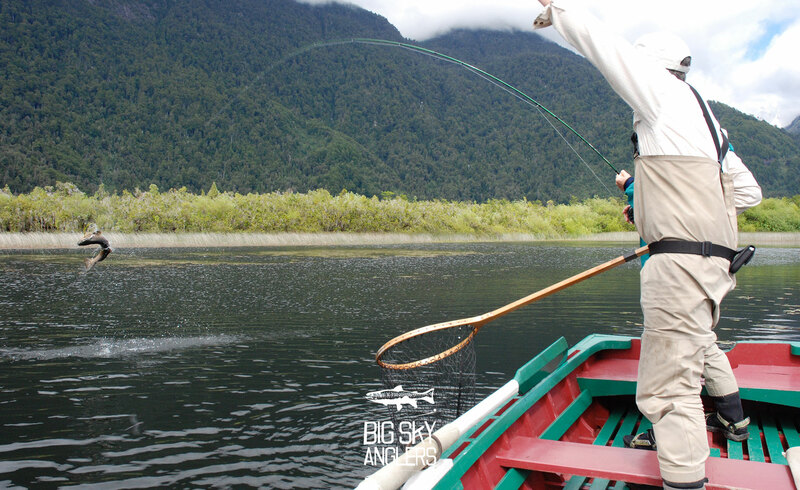 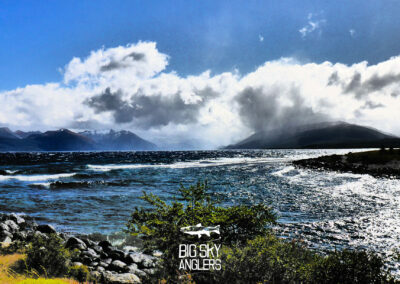 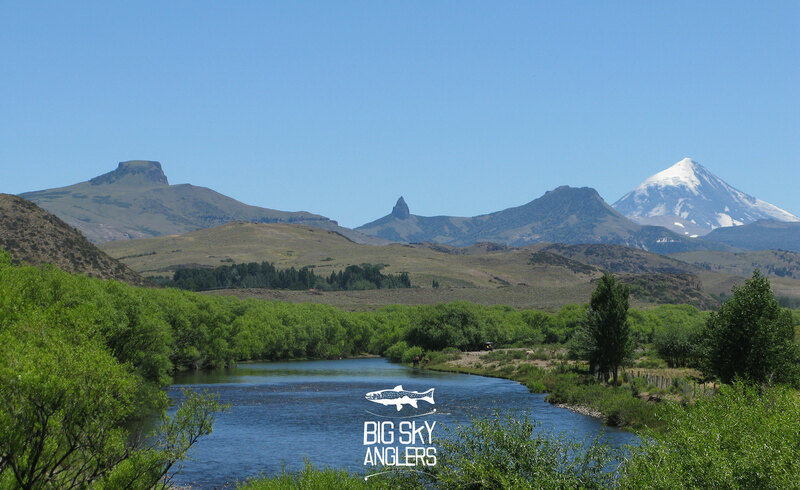 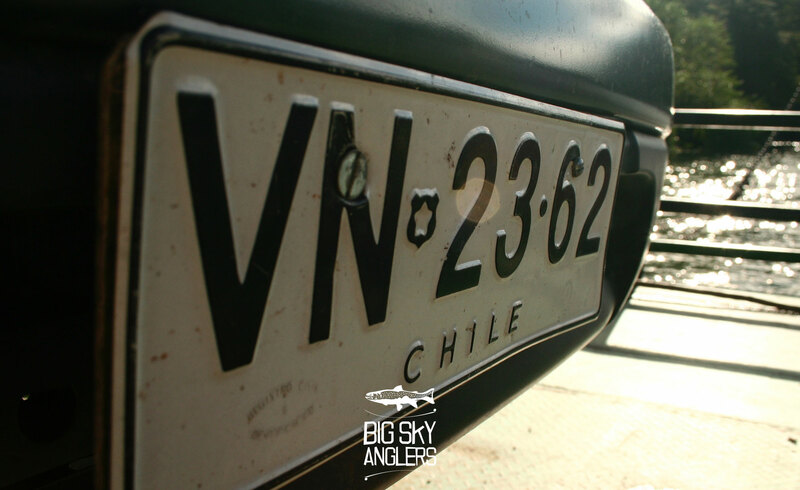 We are specialists in hosted travel and angling throughout the heart of Argentine and Chilean Patagonia, from the north of Neuquen Province to the south of the Chubut Province, Argentina, as well as Regions X and XI in Chile. 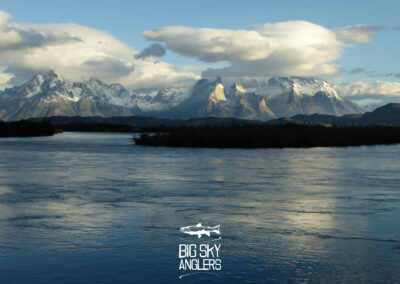 This includes most of the famous waters like the Rios Chimehuin, Malleo, Limay, Rio Grande, Rio Pico, Futaleufu, Palena, Rosselot, Cisnes, and the Simpson in addition to many lesser known waters. 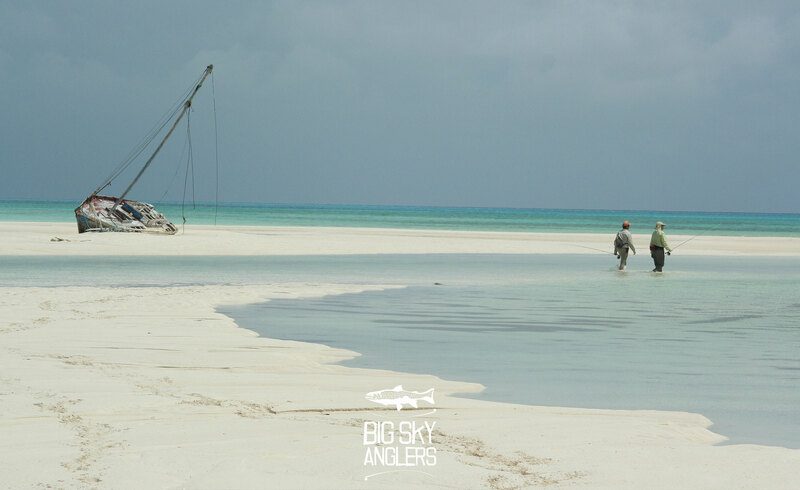 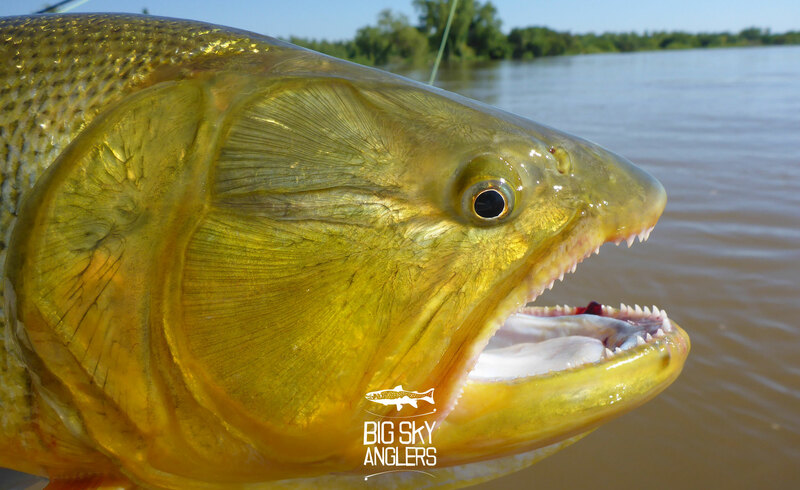 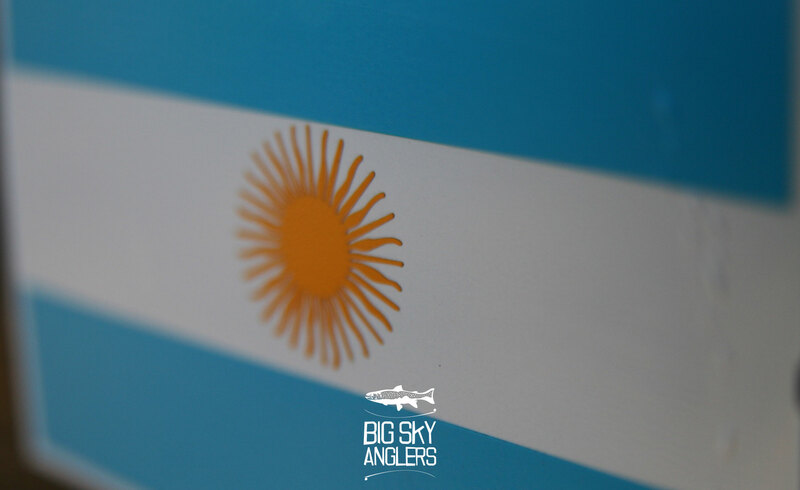 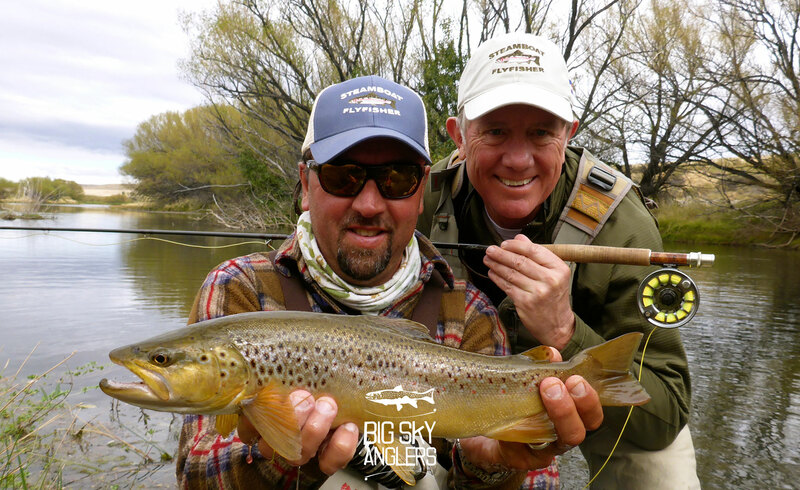 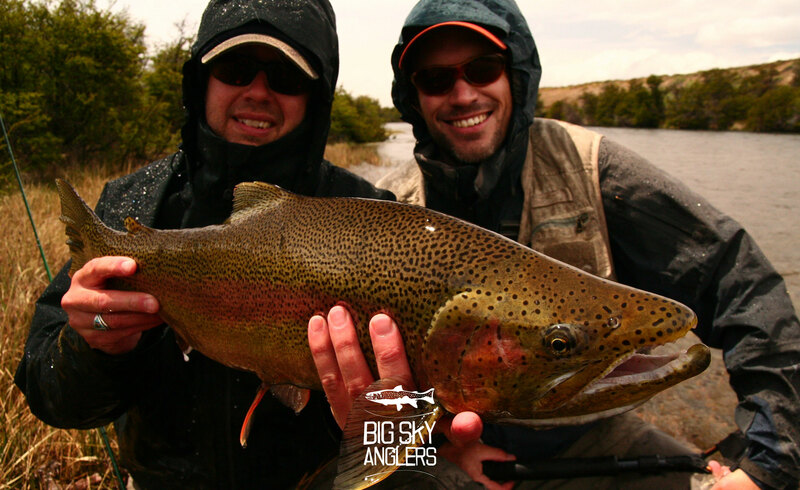 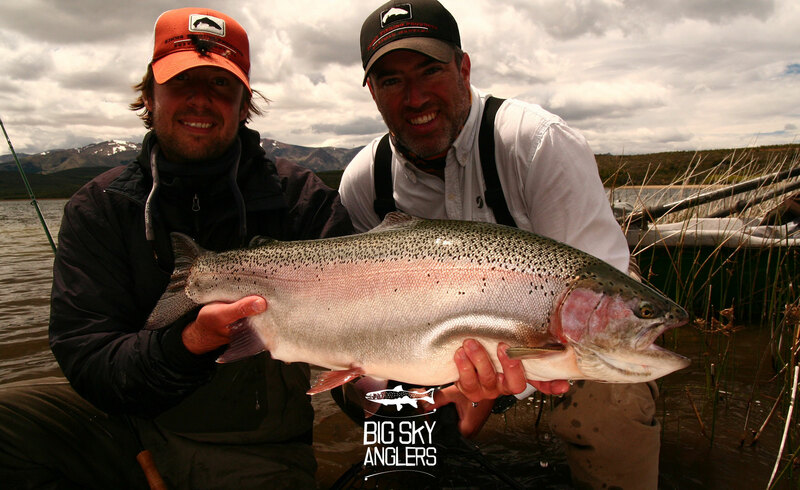 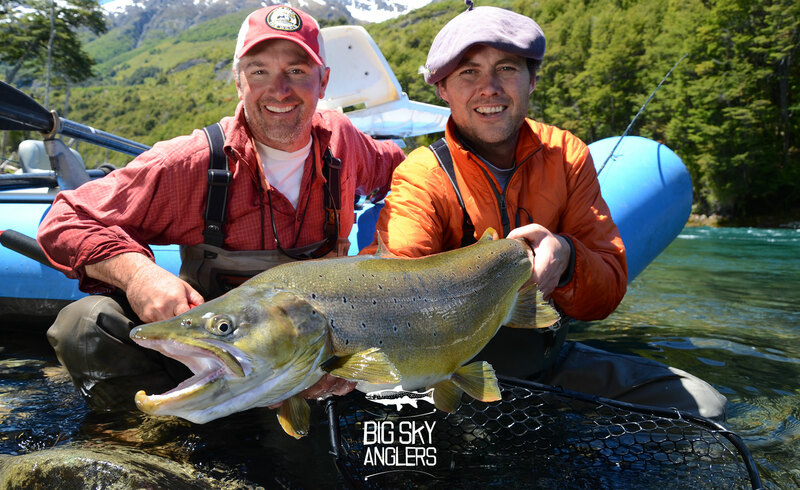 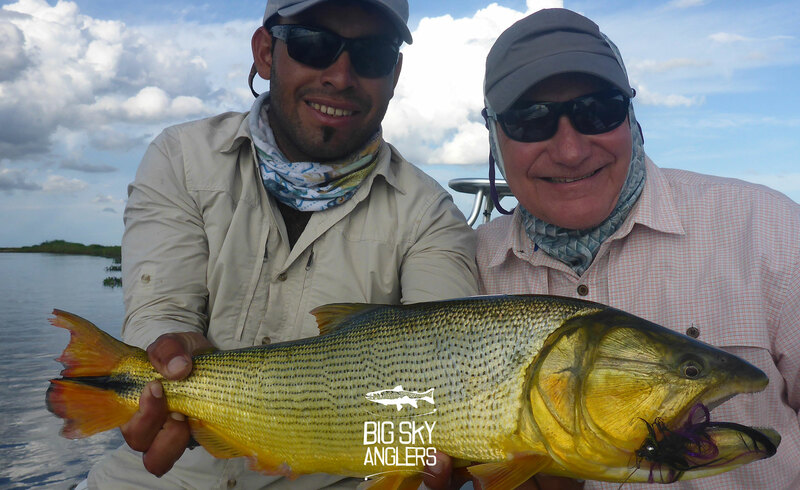 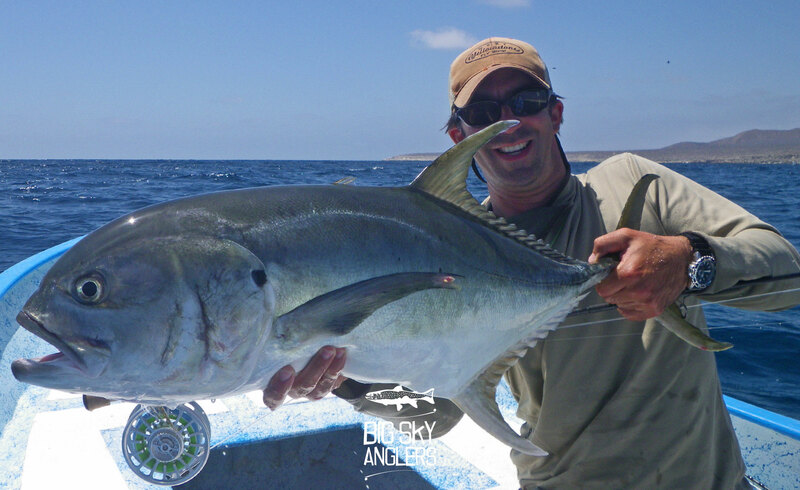 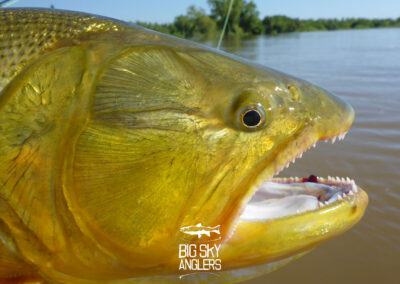 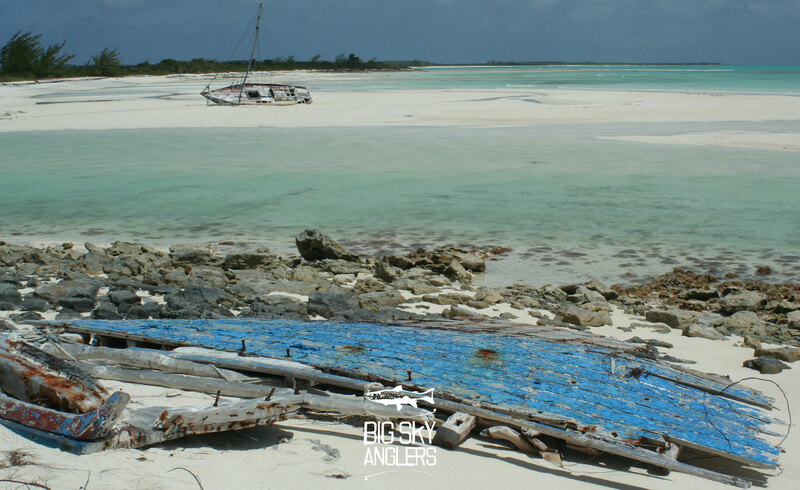 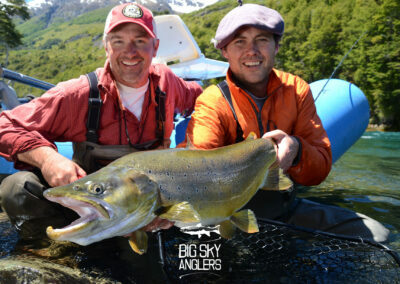 Jonathan and Justin have over 25 years of combined experience fishing, exploring, and guiding in Patagonia as well as to the south on fisheries such as Lago Stroebel and Tierra del Fuego, and farther north in Argentina for golden dorado. 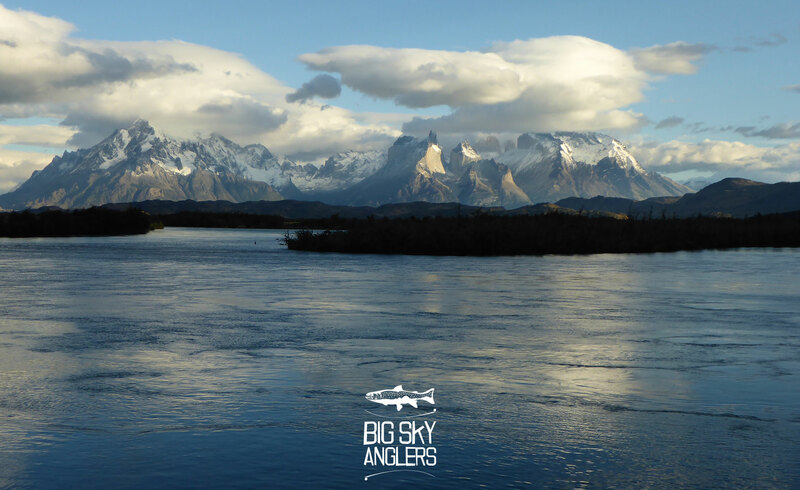 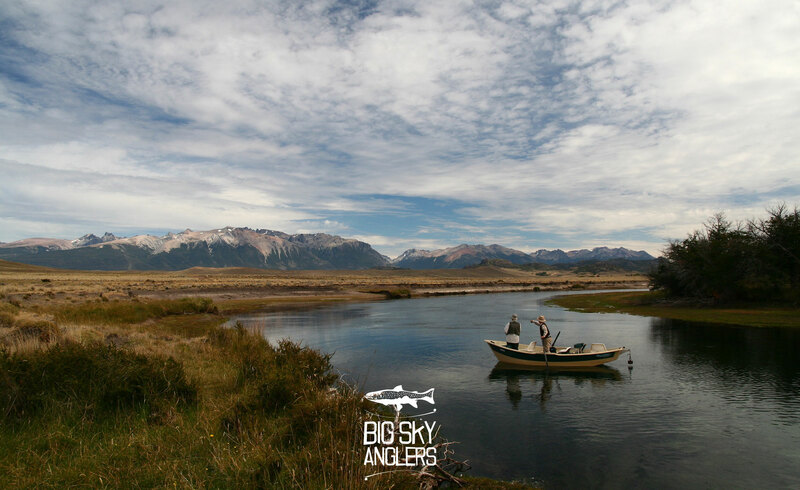 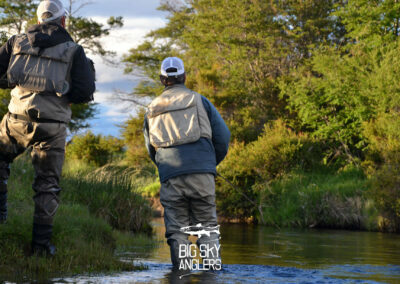 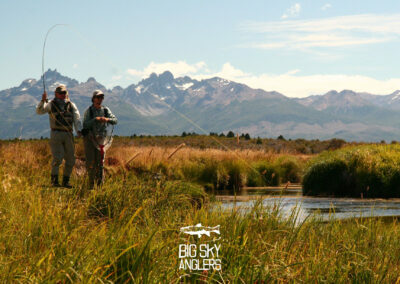 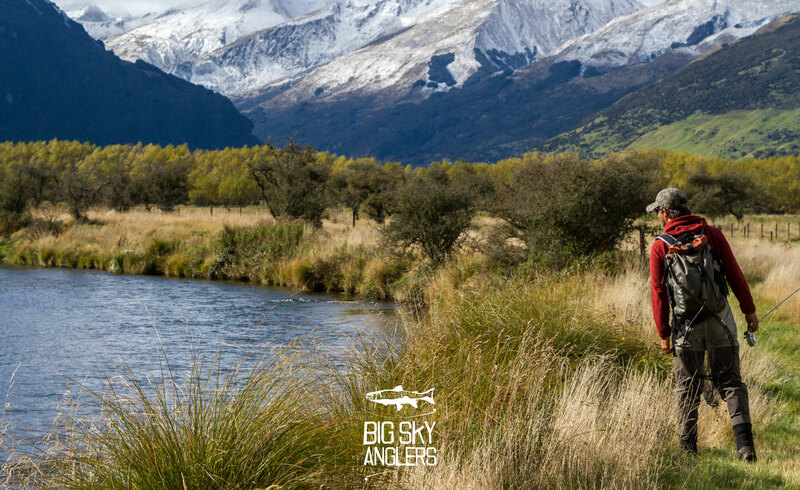 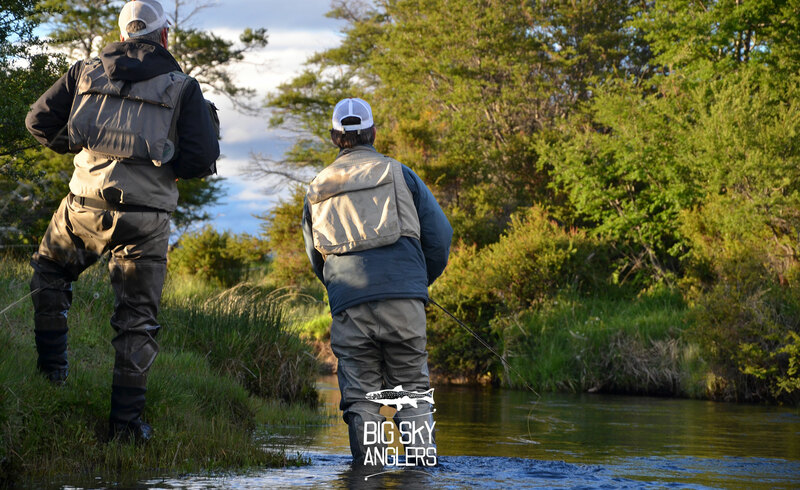 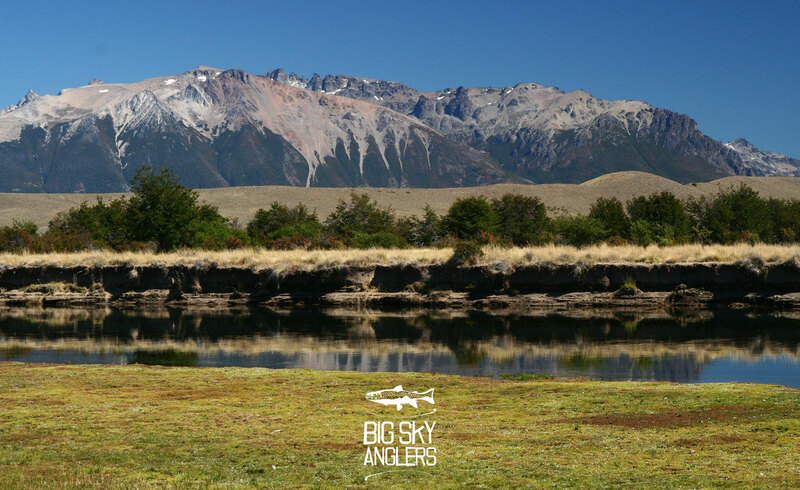 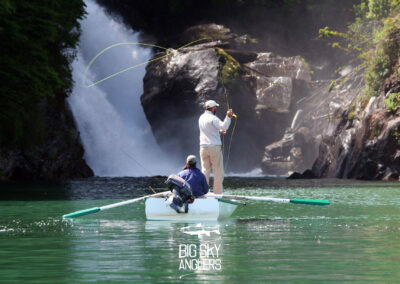 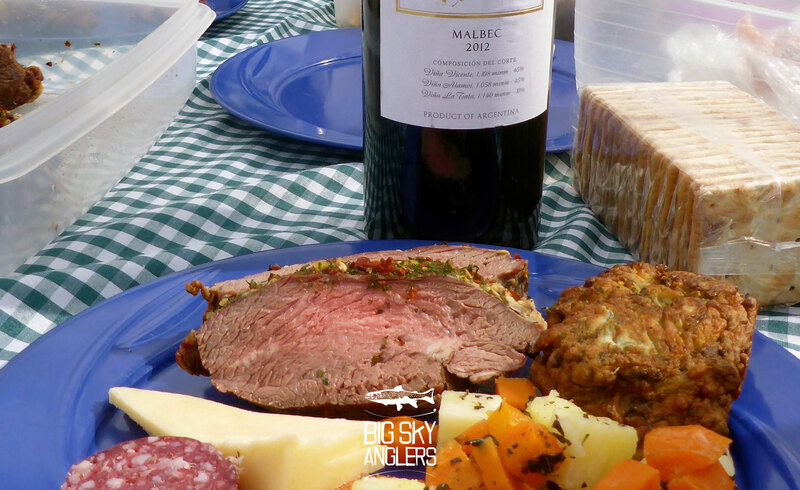 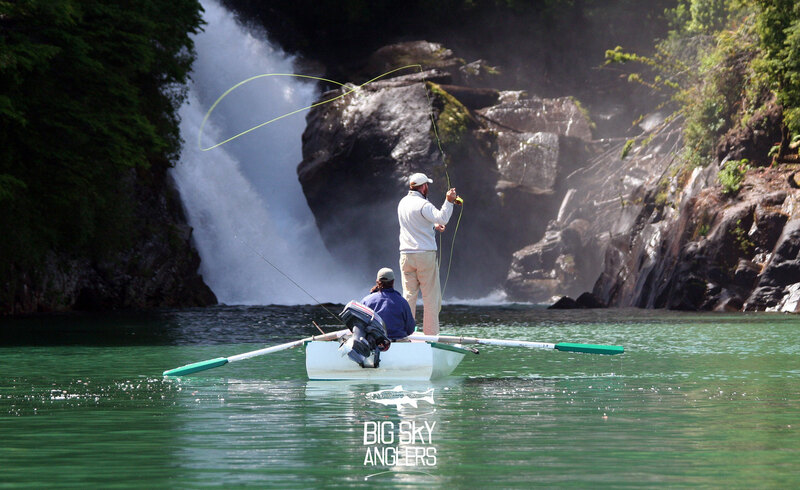 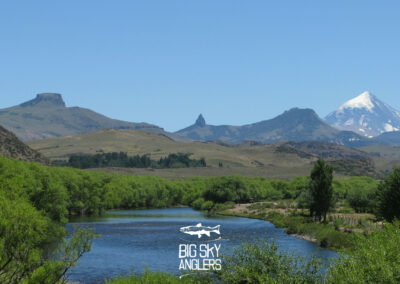 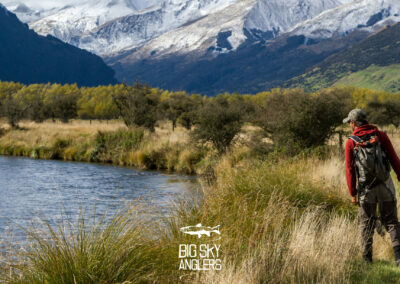 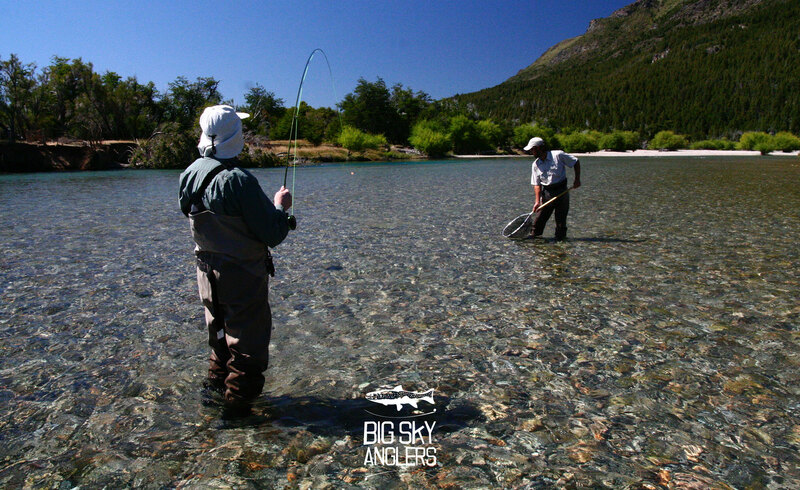 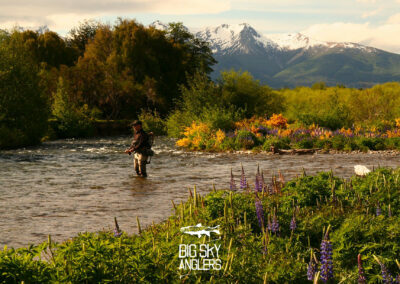 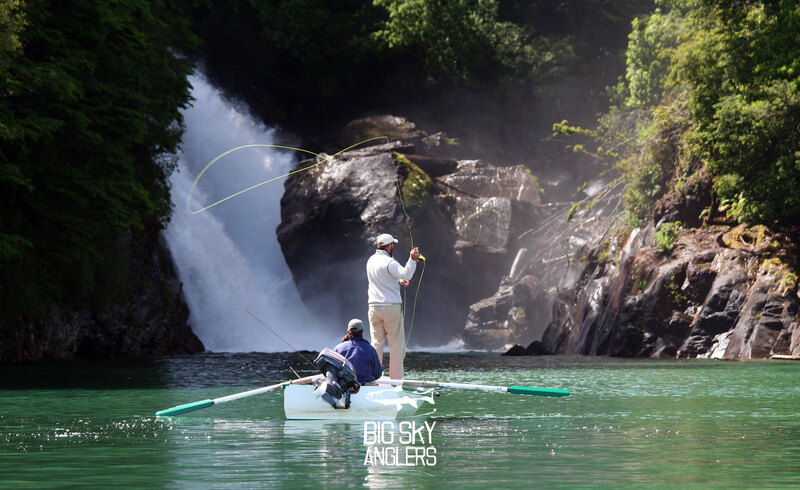 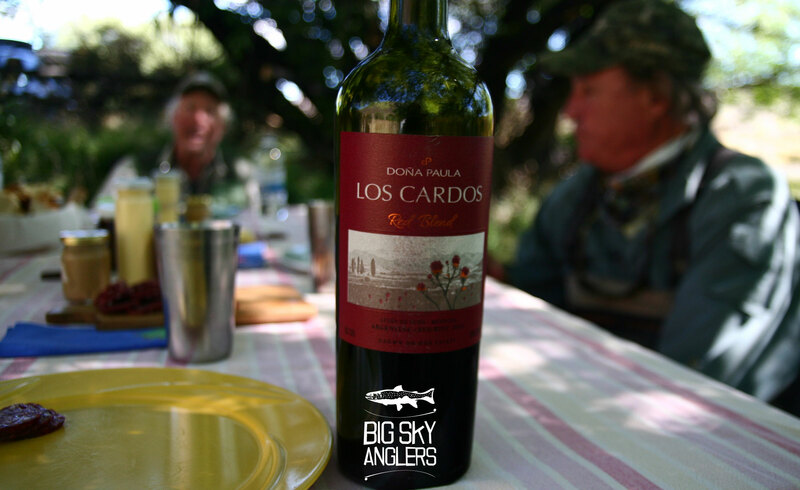 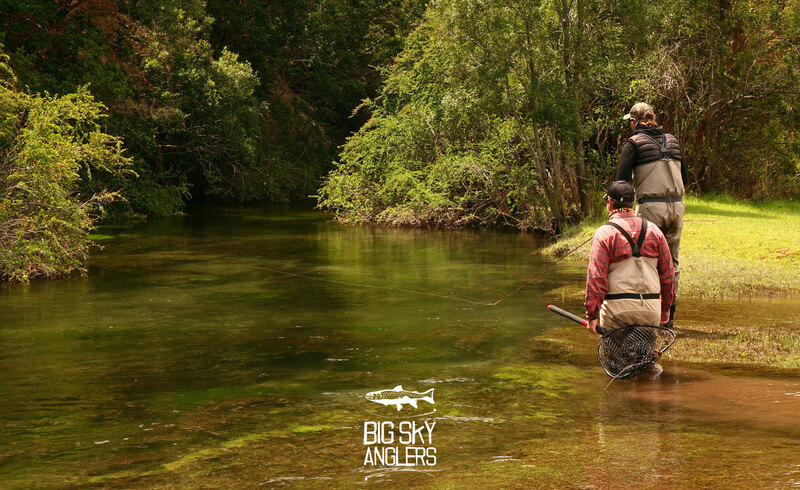 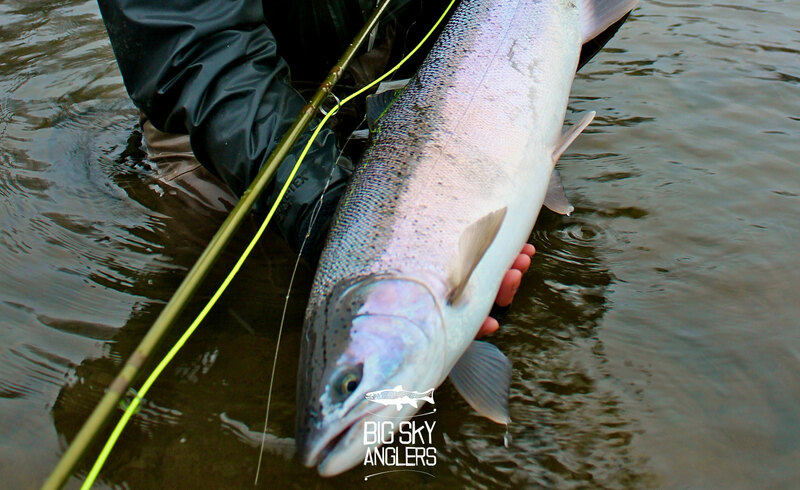 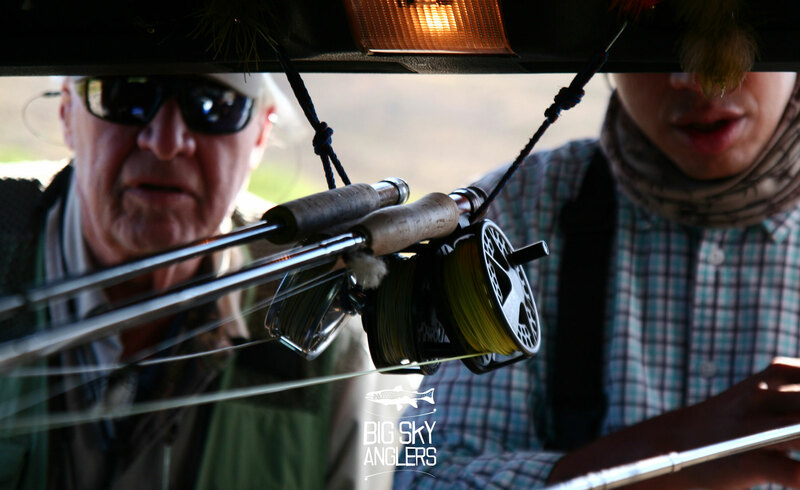 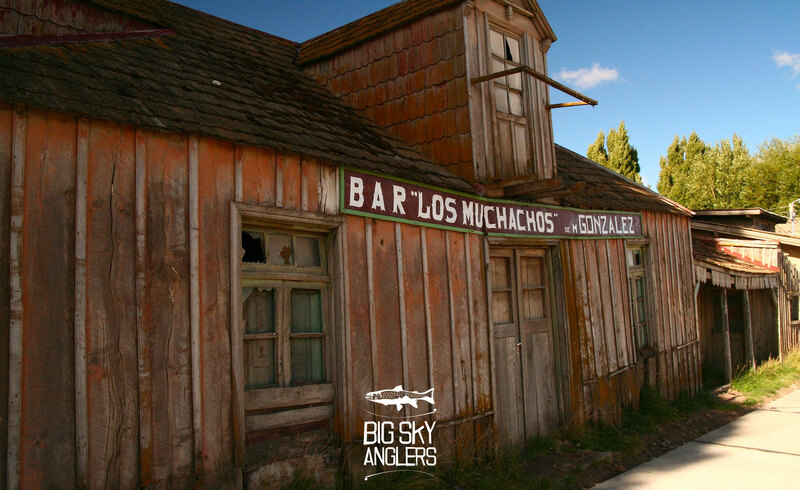 We take pride in understanding the nuances of the season in each area and helping you to navigate the planning process of an angling vacation of a lifetime in Patagonia. 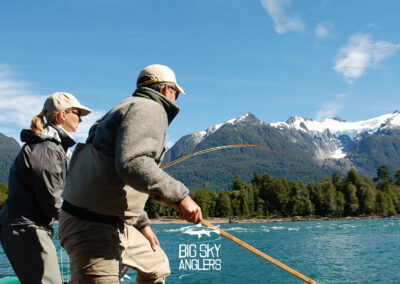 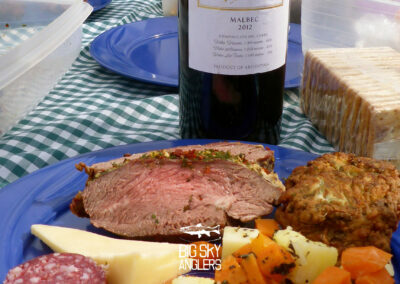 We have also travelled to and fished many more awesome destinations just to experience them for ourselves. 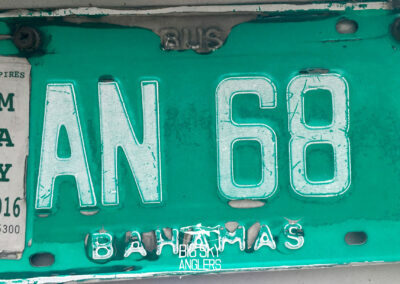 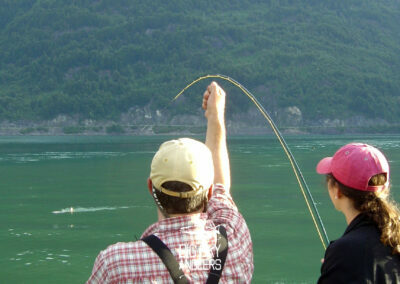 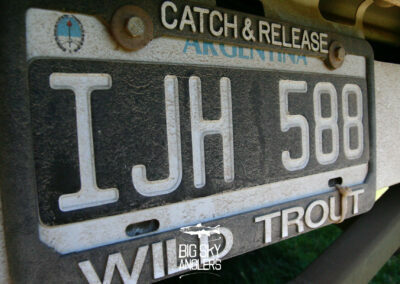 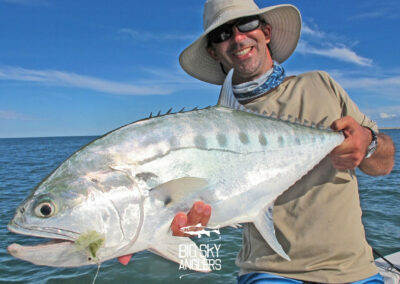 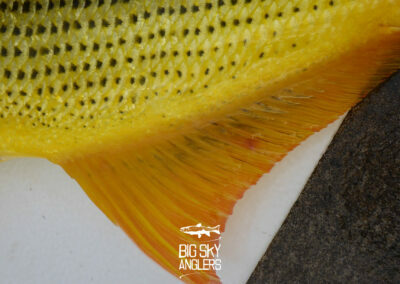 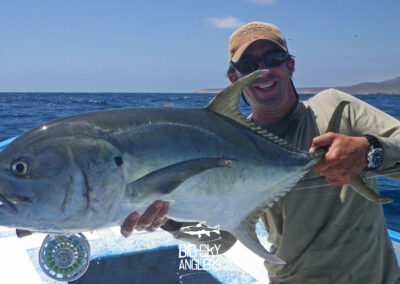 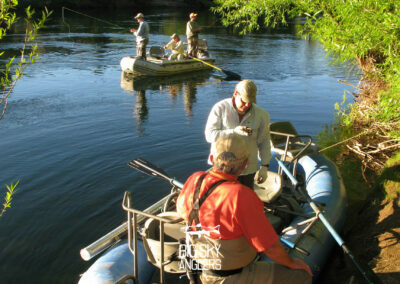 As such, we are great source of information for anyone out there who might be looking to plan a fishing getaway. 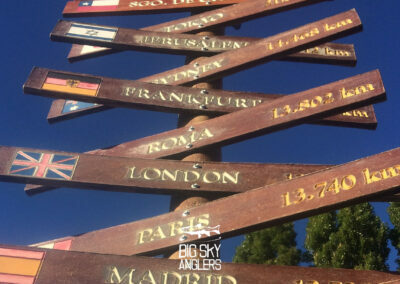 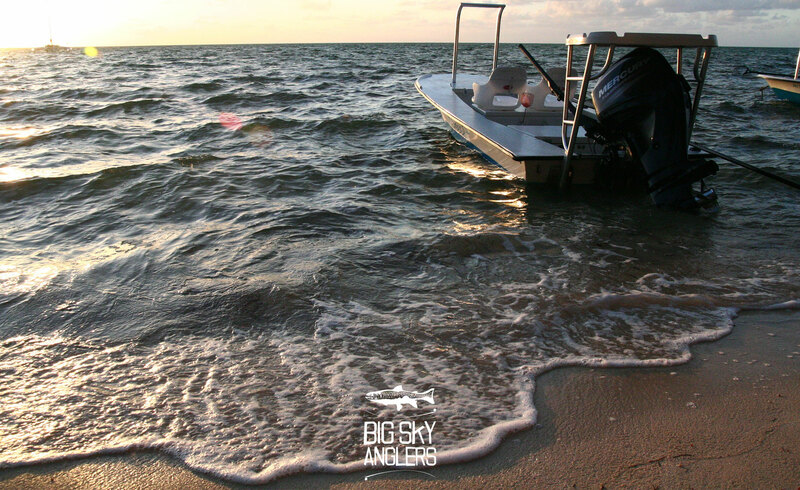 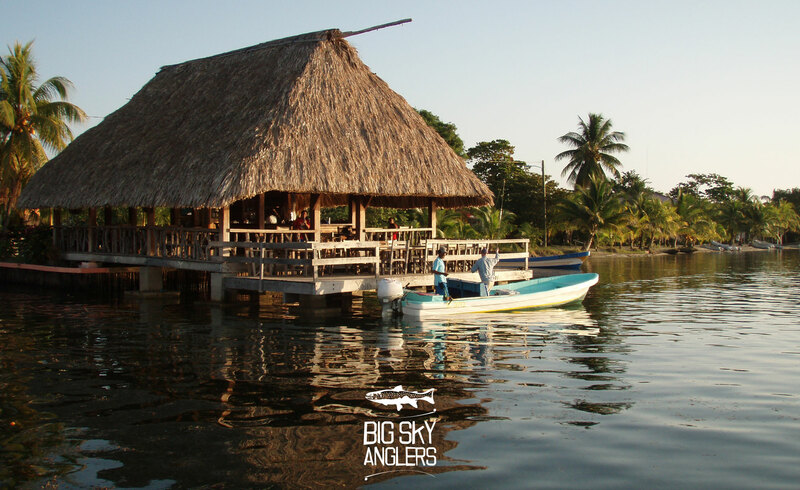 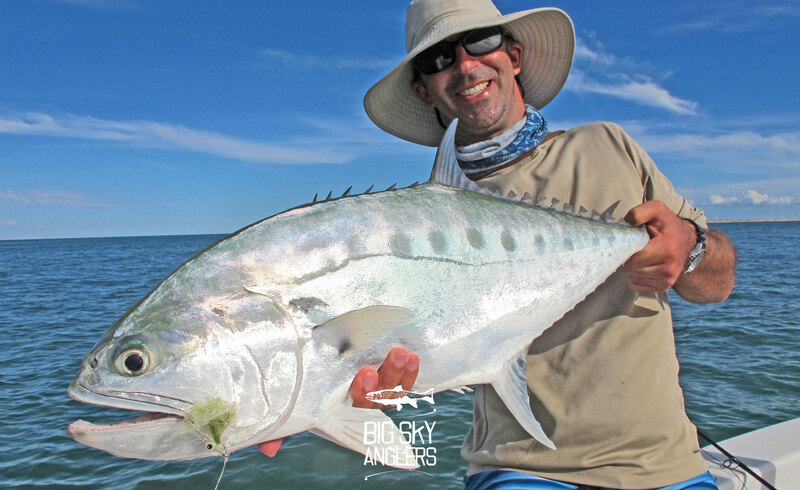 First and foremost, it is our goal to be here as a resource for all of our customers and friends both new and old when it comes to angling travel. 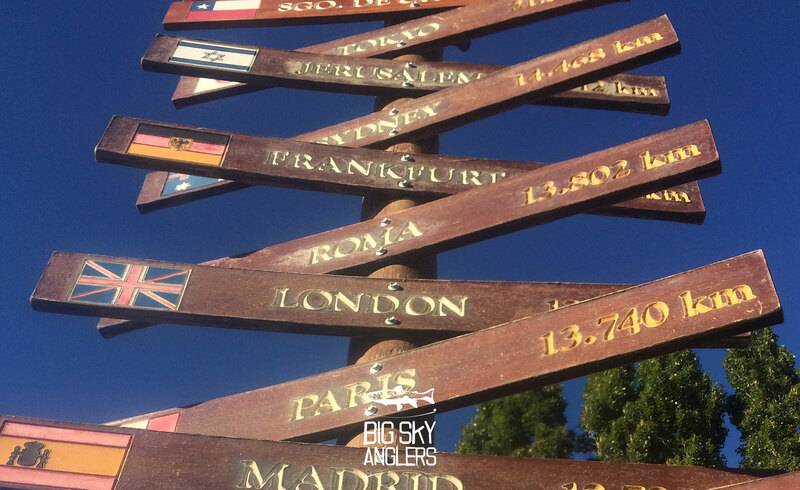 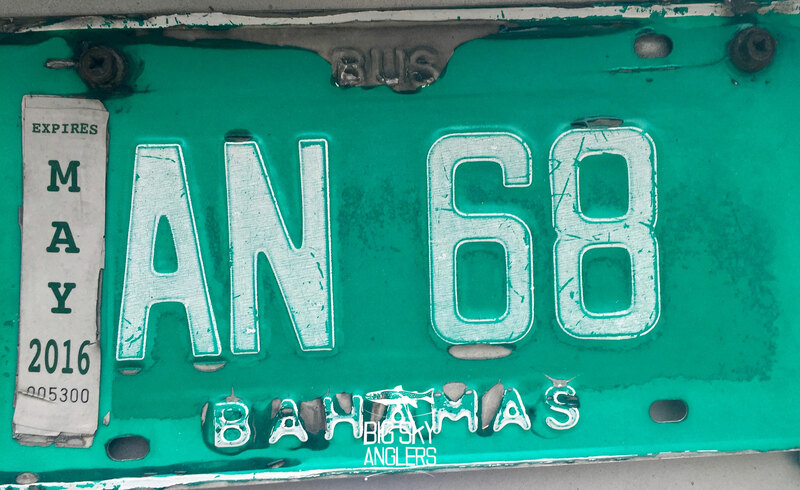 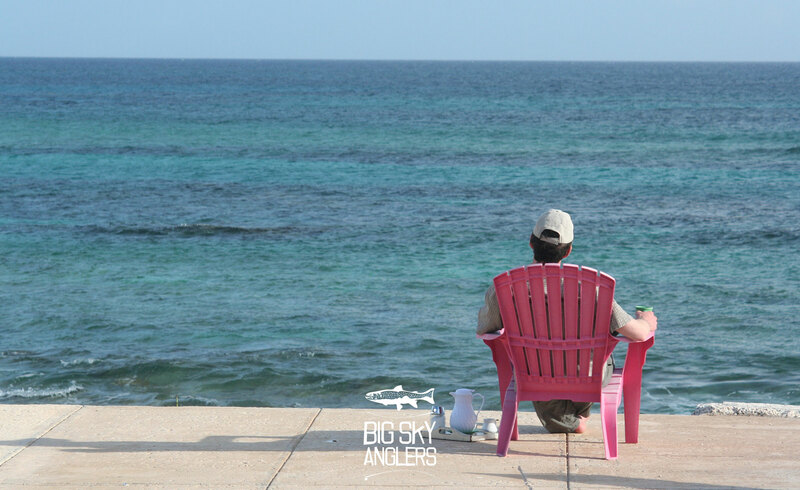 Interested in going somewhere new to fish? 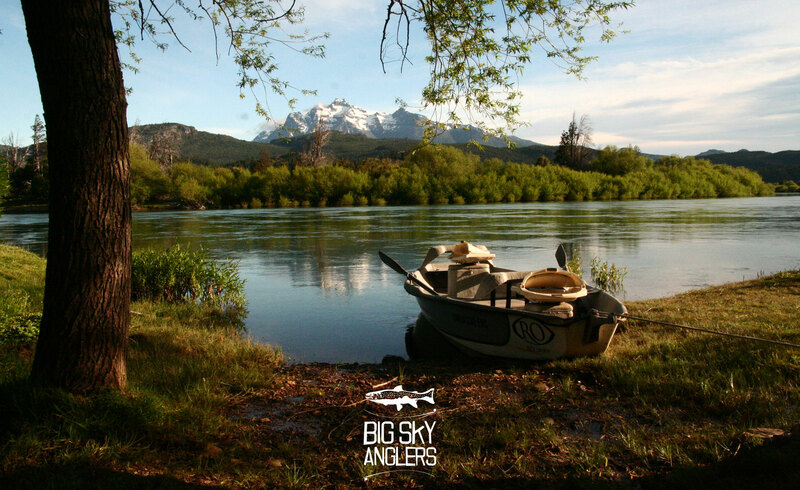 Come in or give us a call, and talk to us. 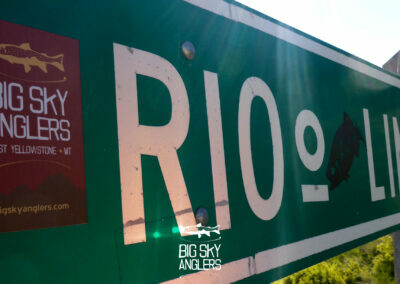 We fish everywhere!